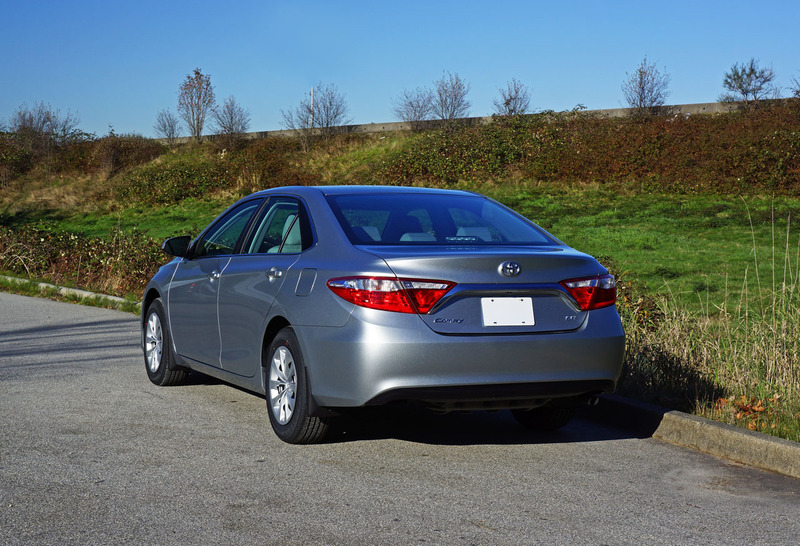 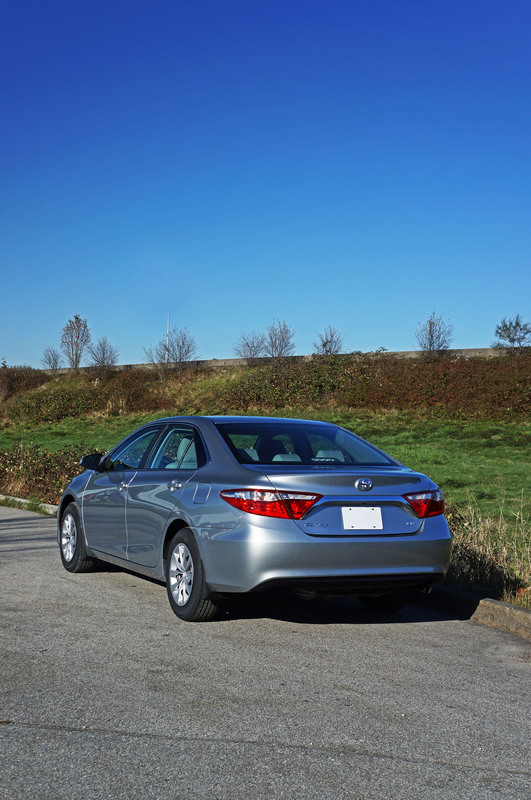 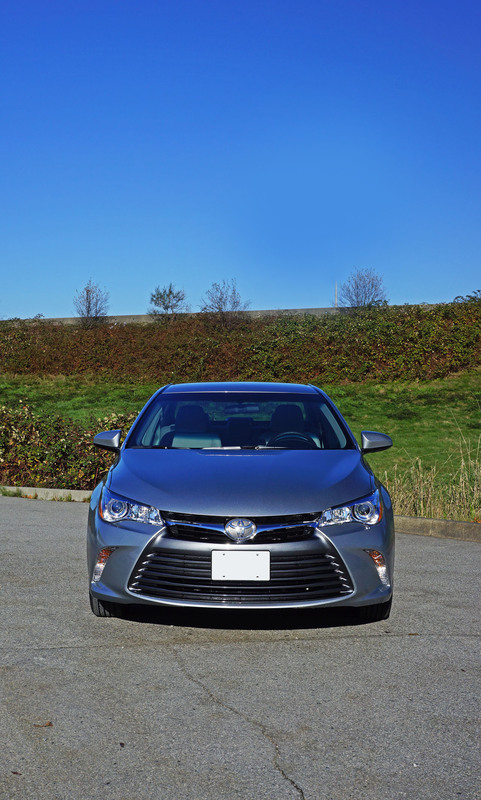 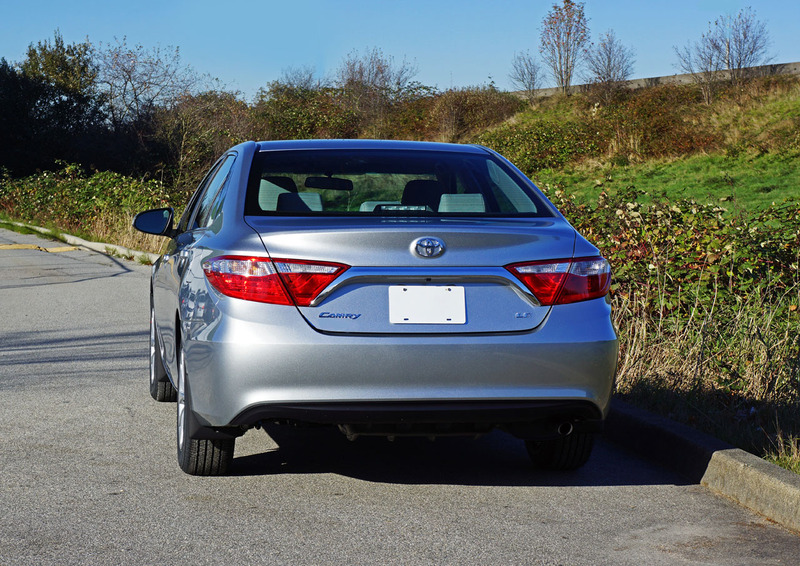 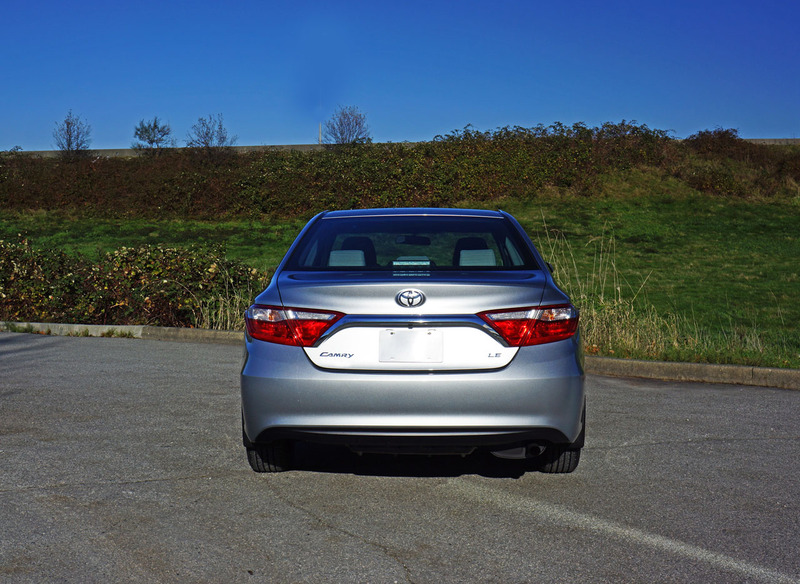 numbers effect thousands of North American consumers, none is more important than the all-new 2015 Toyota Camry. First off, what you’re looking at is no mild makeover. 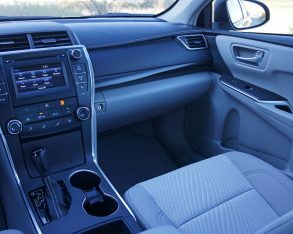 Powertrains and interior aside, this Camry has been reworked from the wheels up. 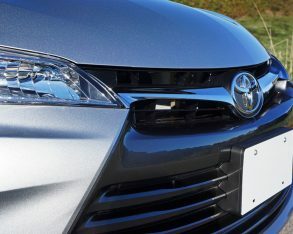 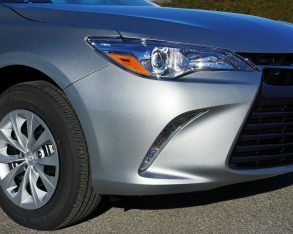 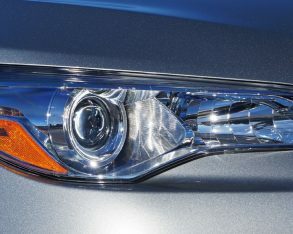 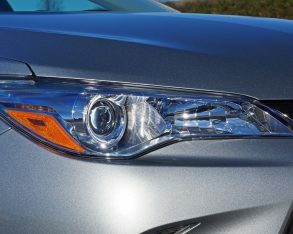 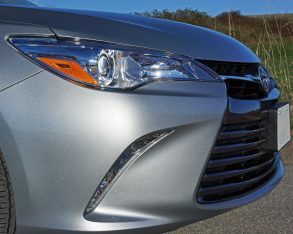 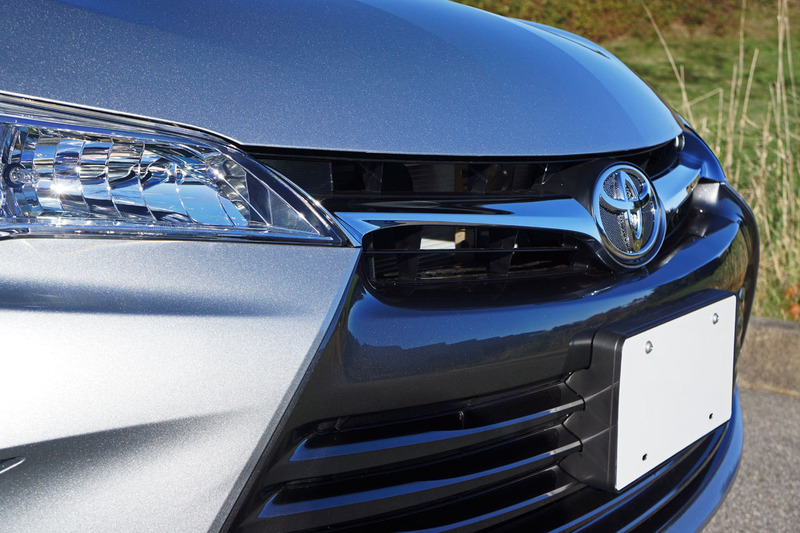 As you can plainly see, Toyota has given its midsize four-door offering exciting new styling with a larger more aggressive grille, two fabulous looking slanted stacks of fog lamps, attractive multi-angled headlights, elegantly penned taillights, lots of upscale chrome detailing, and sleek, wind-cheating sheetmetal from front to back. 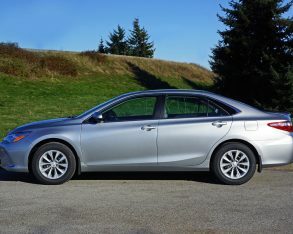 The only body panel that carries forward into 2015 unchanged is the roof, and that certainly won’t get noticed when everything else looks so new. 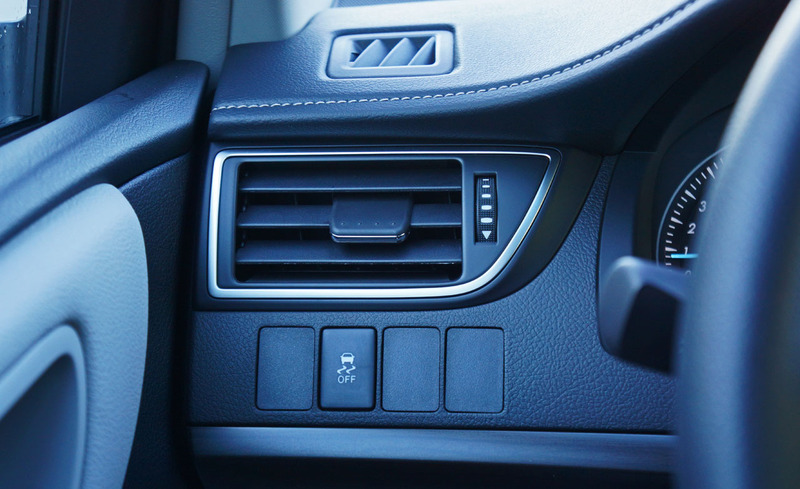 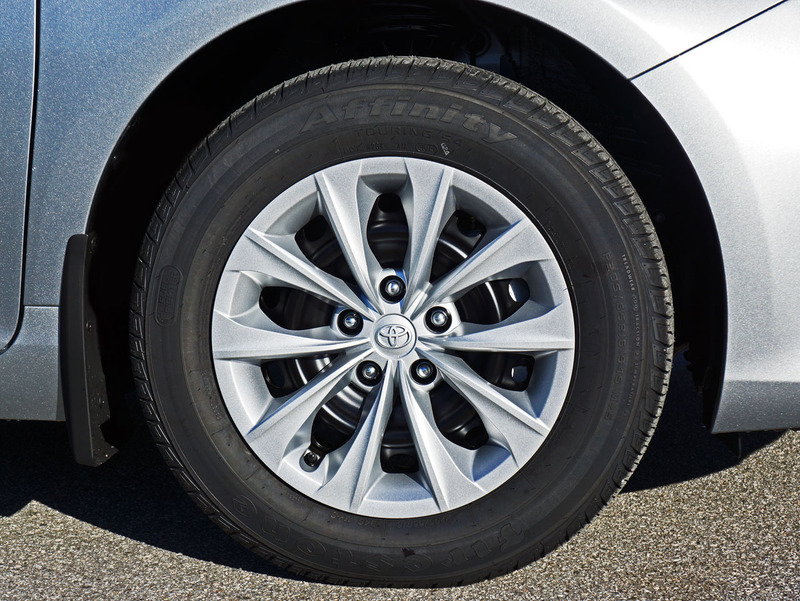 It’s a design that looks good in any trim level, even my base LE tester. 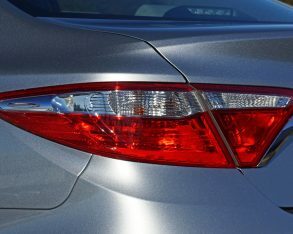 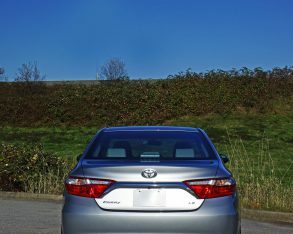 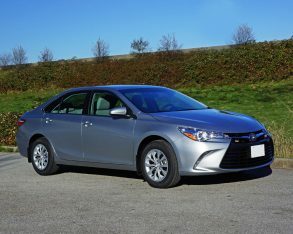 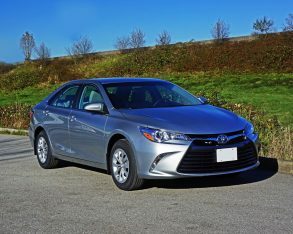 new Camry also fits into Toyota’s new four-door family better, blending design elements from last year’s Corolla, a car that radically upped the style factor for the brand’s compact player, and the previous year’s Avalon, which was and remains an eye-popping transformation to the flagship luxury sedan. 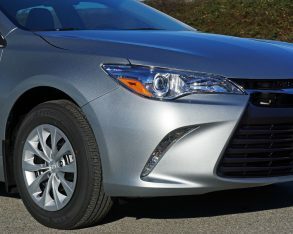 All in all it’s one slick looking four-door lineup that should help undo some stigmas younger buyers have about the Japanese company’s once staid stodgy image, the Camry itself striking an ideal balance between a newfound sporty yet elegant look and the model’s traditional conservatism. 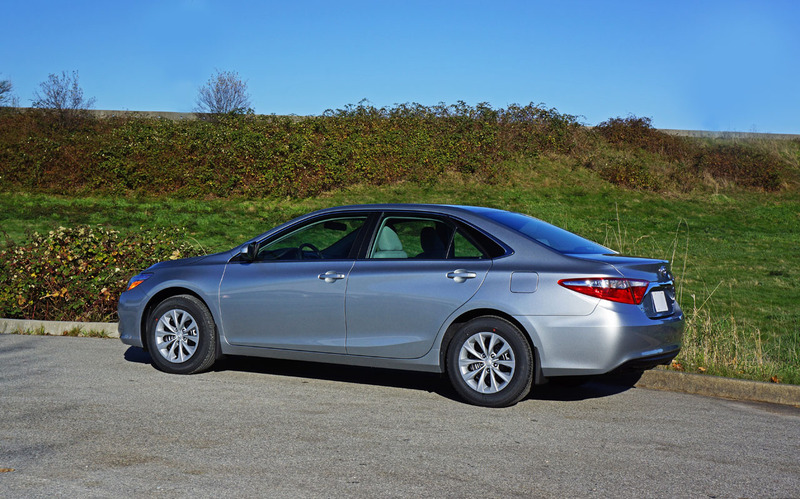 albeit less appealing car it replaces. 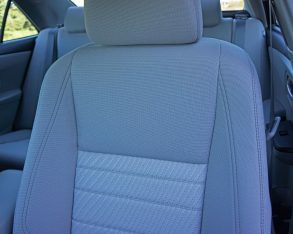 And what you get for that $100 is impressive. 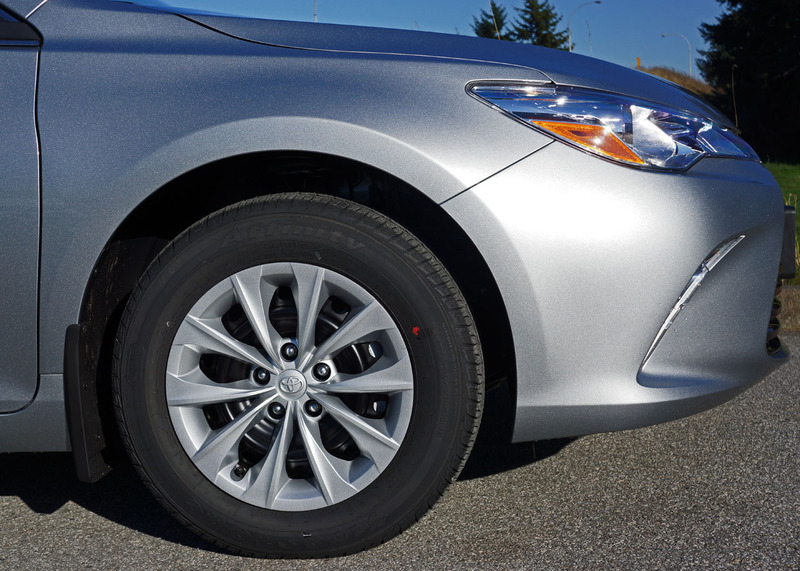 profile 205/65R16 all-season rubber felt sporty, helped along further by retuned steering and recalibrated suspension systems. 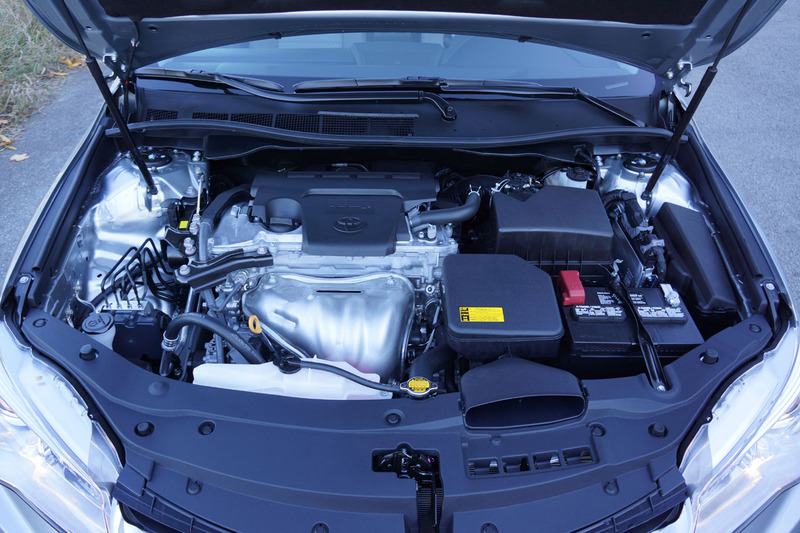 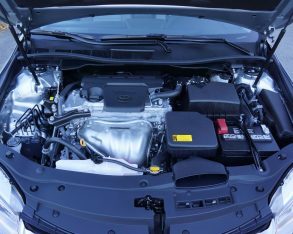 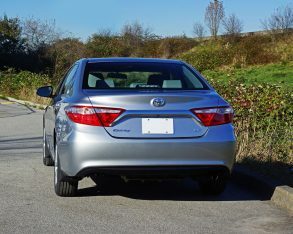 well-proven engine utilizes double overhead cams, 16 valves, and dual variable valve timing with intelligence to produce a healthy 178 horsepower and 170 lb-ft of torque, while twist goes down to the front wheels via a six-speed automatic transmission with the aforementioned sequential shift mode, even on the base LE model I was driving. 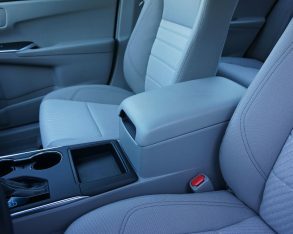 while the stack gets an elegantly modern edge of satin silver trim that flows right past a new lidded bin (that’s very deep) and a sportily redesigned stitched pleather boot-enhanced gearshift lever as it melds into the rear portion of the lower console, while yet more satin silver trim is tastefully applied around the rest of cabin to truly give the new Camry an upscale ambience. 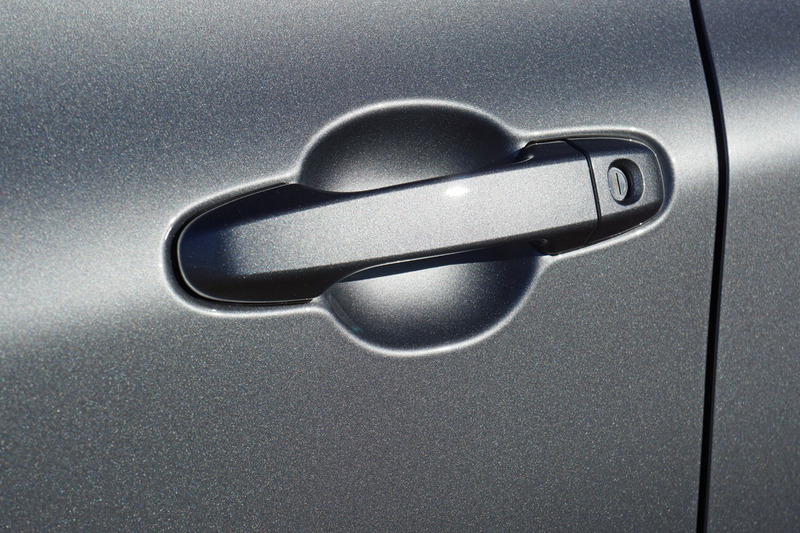 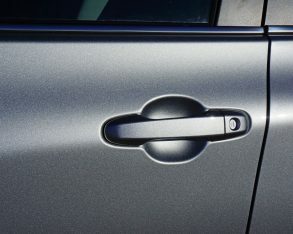 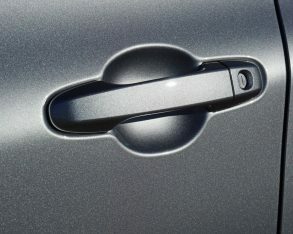 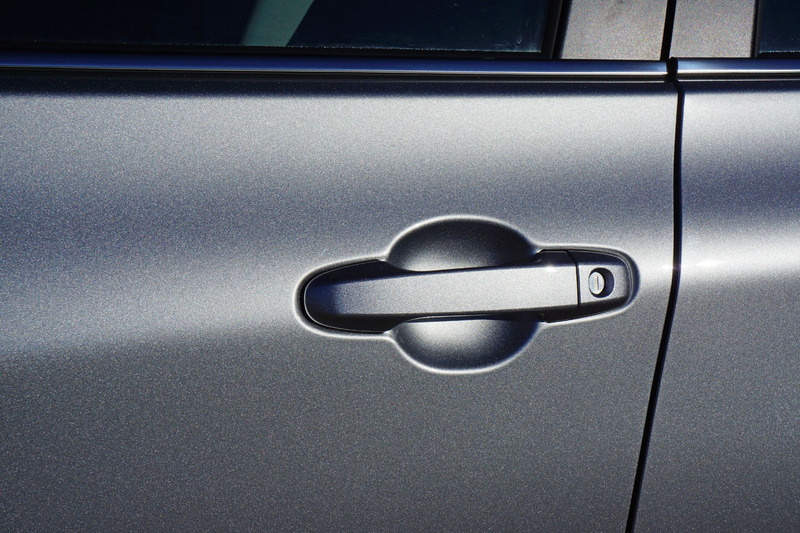 This is especially well executed on the front door pulls that come as part of a new more attractive upper door panel design featuring nice soft-touch insets as well as de rigueur padded door uppers, albeit only up front, the rear quarters also losing out on any satin silver embellishment. 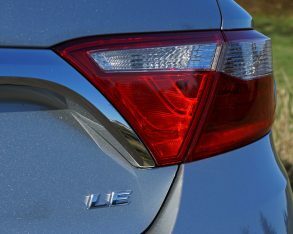 This last point makes sense however, as remember that my tester was the most basic of basic LE models, not a top-line XLE or the sporty new XSE. 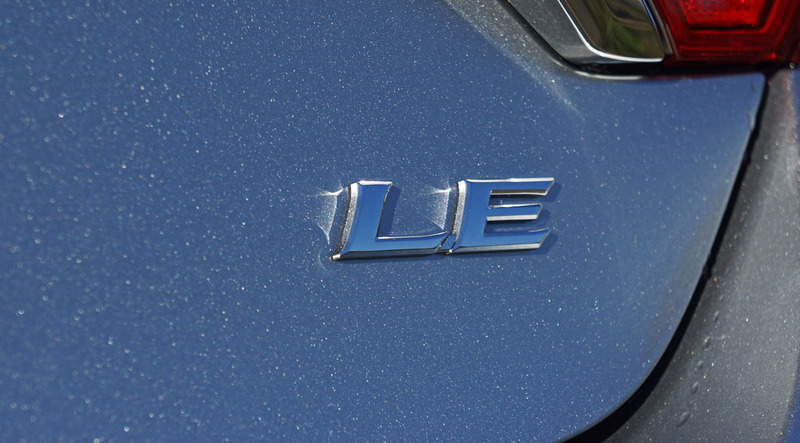 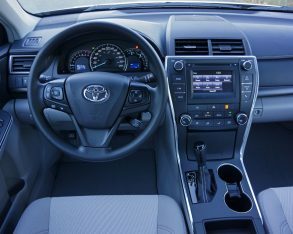 features as they pertain to my LE test car, while touching on some highlights offered across the range. 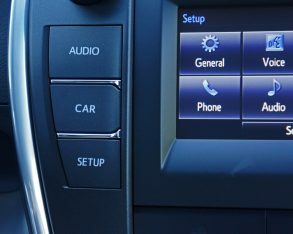 AM/FM/CD/MP3/WMA-capable audio system with aux and USB inputs plus Bluetooth hands-free phone connectivity is the norm, although it’s a very nice sounding system, and of course powered windows are about as basic in the mid-size range as standard powered door locks with remote entry, also included with the Camry LE, but new for 2015 are standard side windows with automatic up/down driver and front passenger functionality, while the availability of a black interior is an oddity that deserves mention. 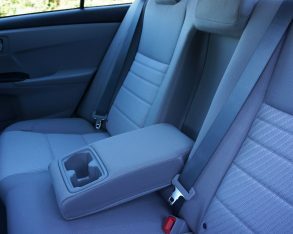 colour and shade options instead. 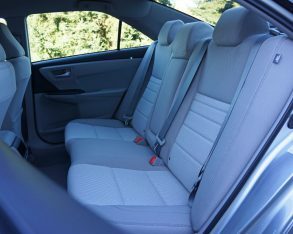 Unfortunately my tester was done out in the latter, and while it looked very nice with tightly-woven attractive patterned high-quality cloth upholstery that was also very comfortable, I’d really like to see the interior blacked out as all the satin silver accenting I spoke of before would look brilliant in contrast. 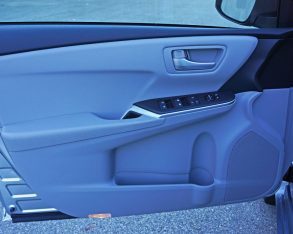 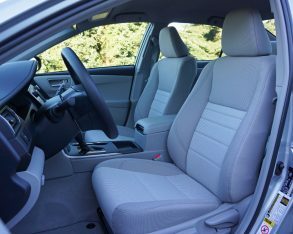 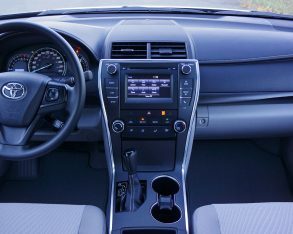 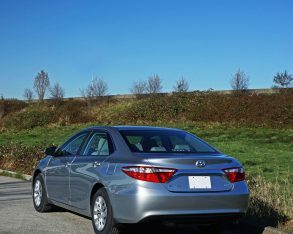 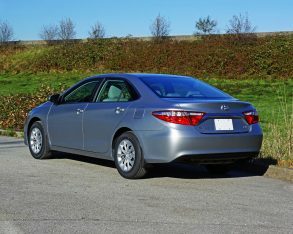 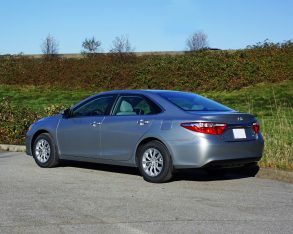 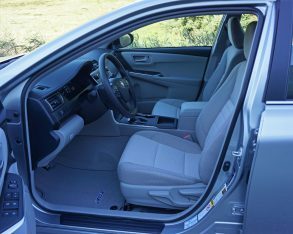 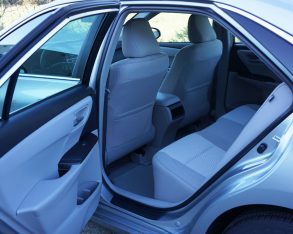 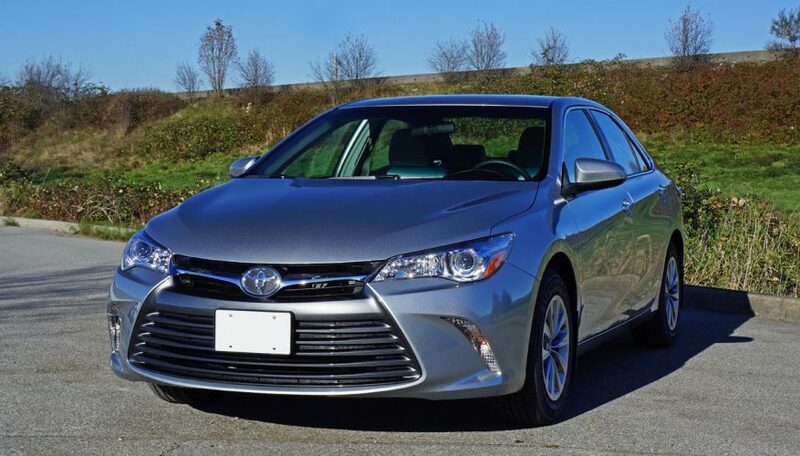 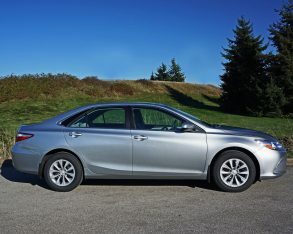 The Camry LE’s base pricing is also attractive at $23,850 plus $1,620 for freight and pre-delivery prep, but I’d be tempted to add on a few options via the $2,085 Upgrade package that includes an eight-way power adjustable driver’s seat, satellite radio and a great looking set of twinned eight-spoke 17-inch alloy wheels on 215/55R17 all-season tires, the latter replacing the standard wheel covers that look just like alloys from a distance although don’t do a very good job of covering the black steel wheels when viewed up close. 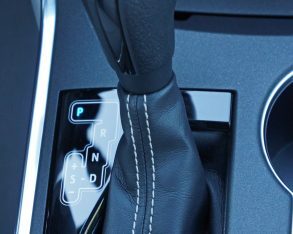 upgrade). 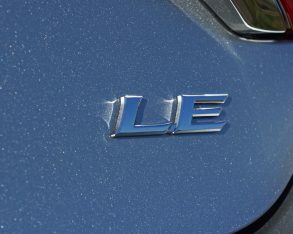 I’ll let you know about the SE and XSE features in upcoming reviews, but suffice to say they are sportier versions of the car, the latter reportedly a bonafide sport sedan. 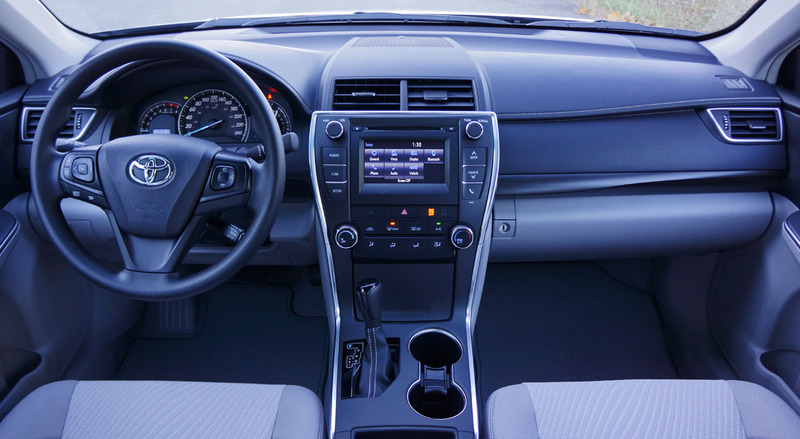 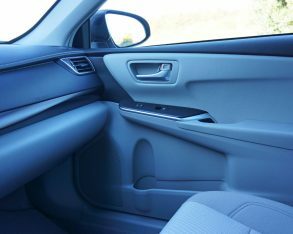 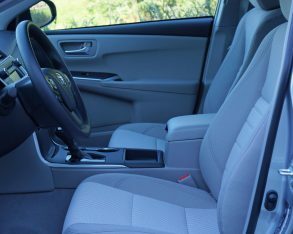 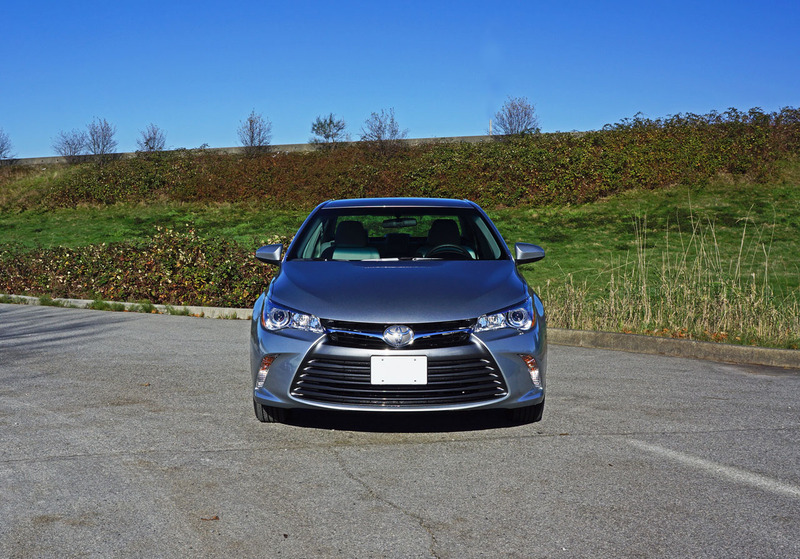 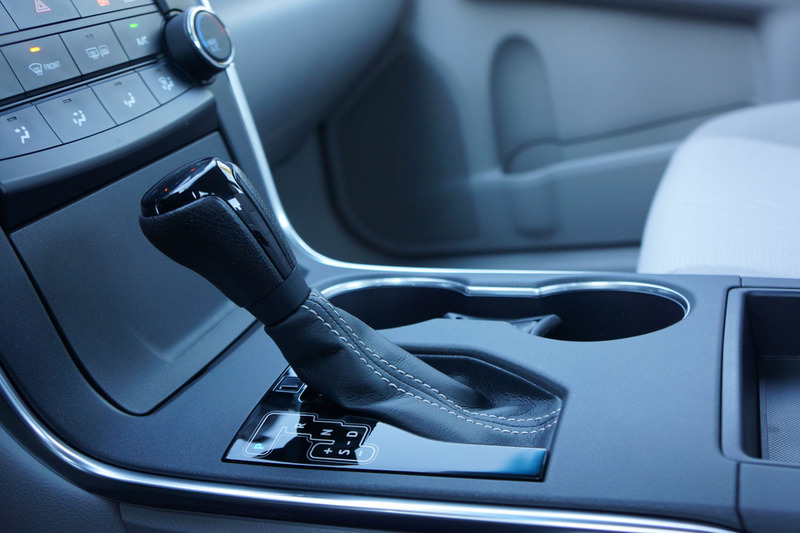 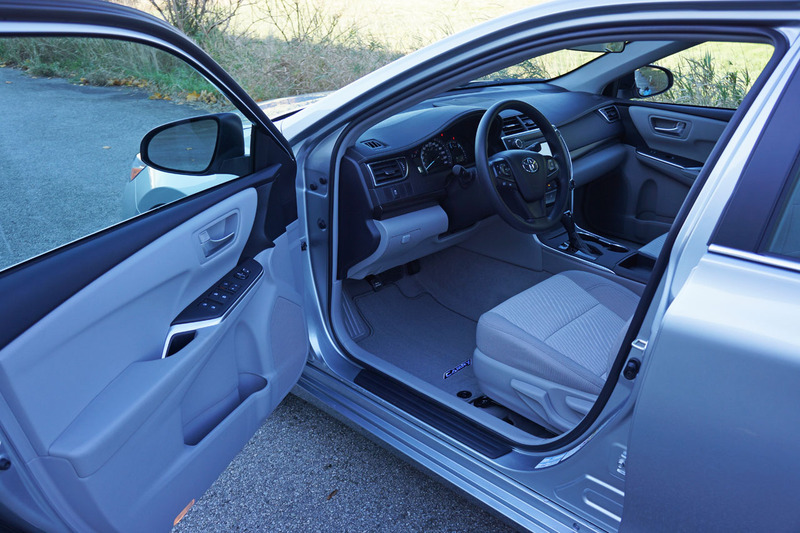 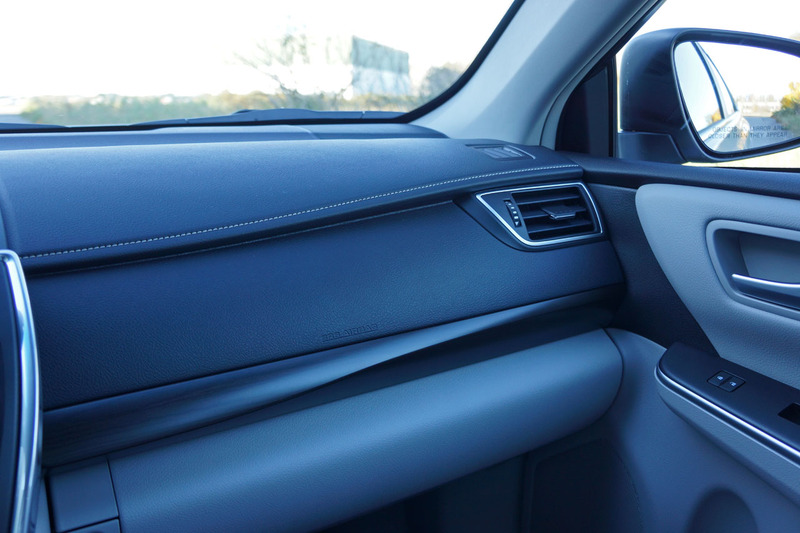 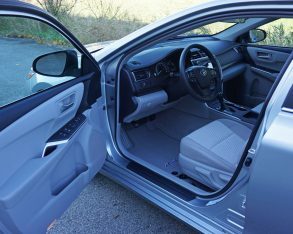 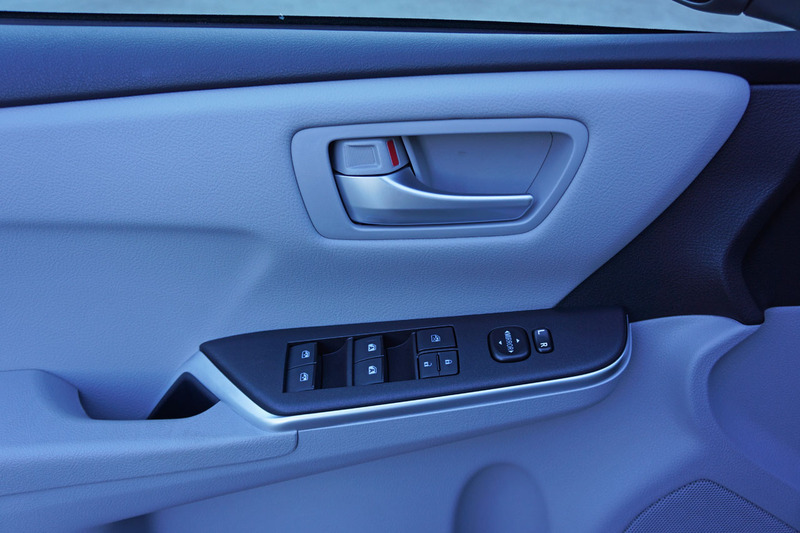 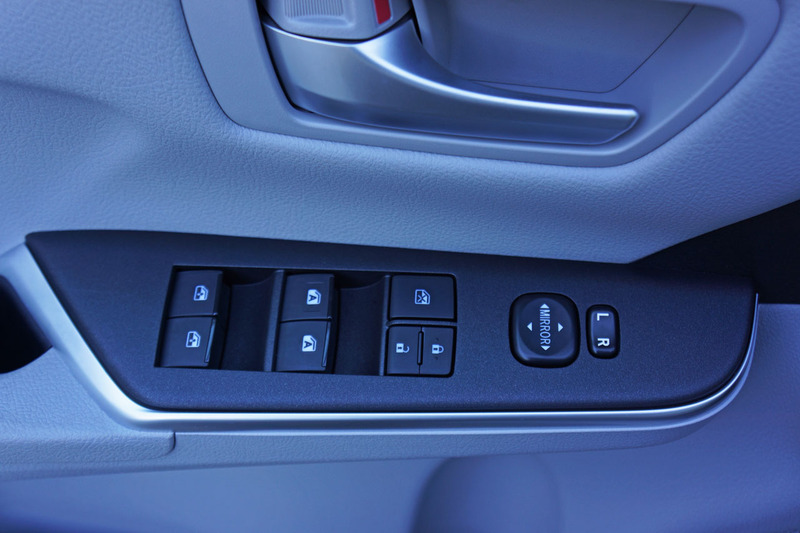 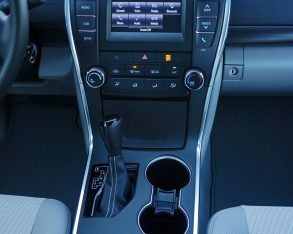 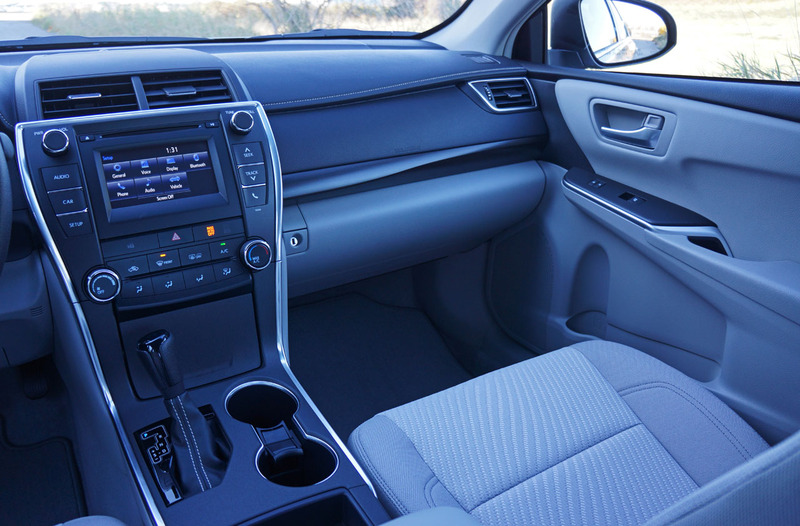 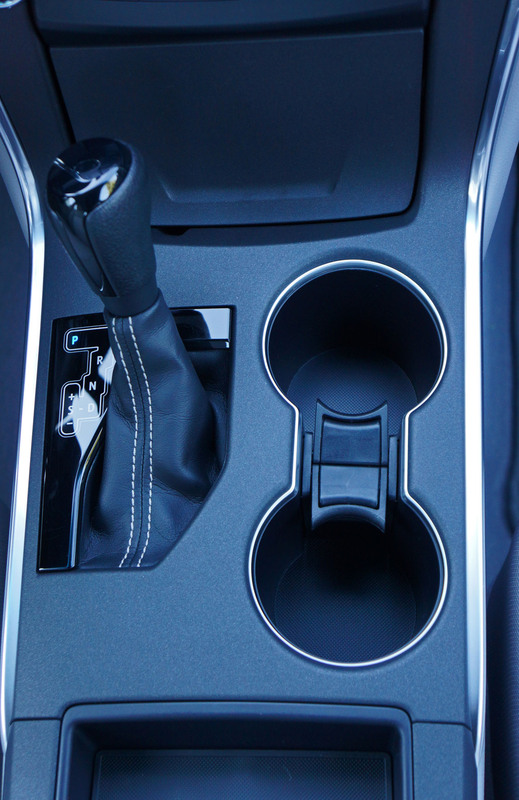 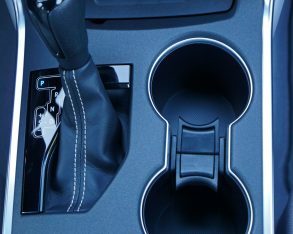 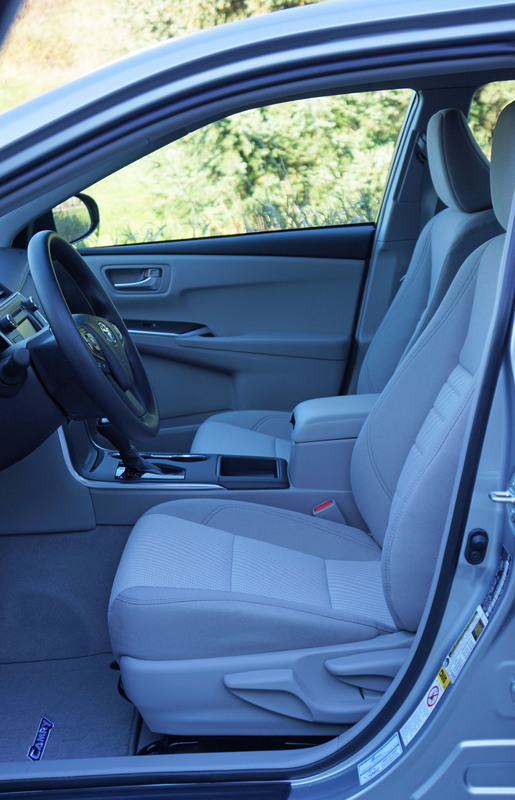 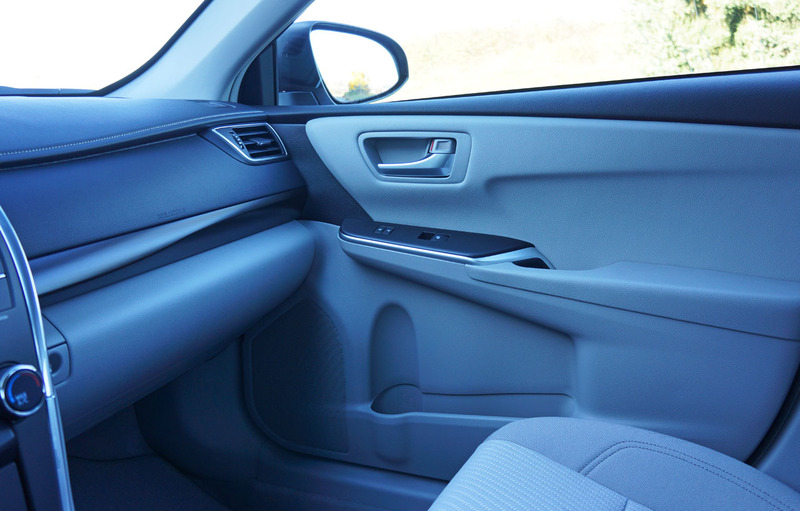 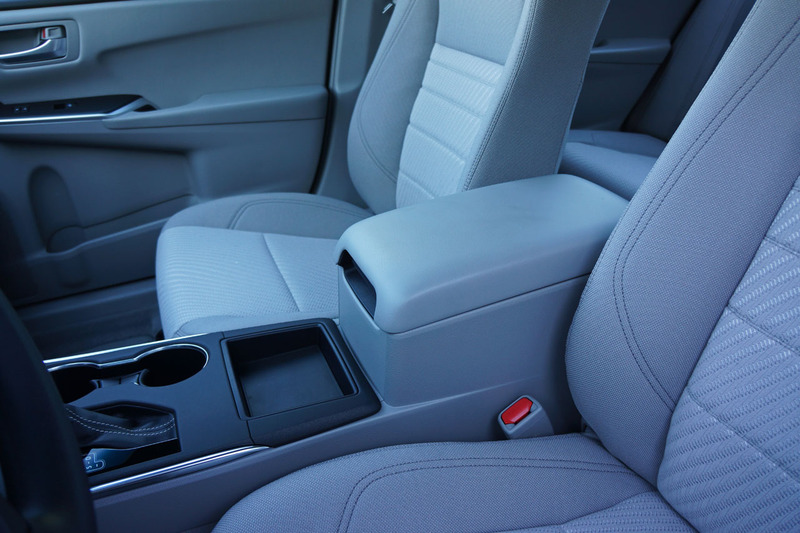 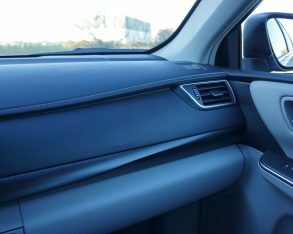 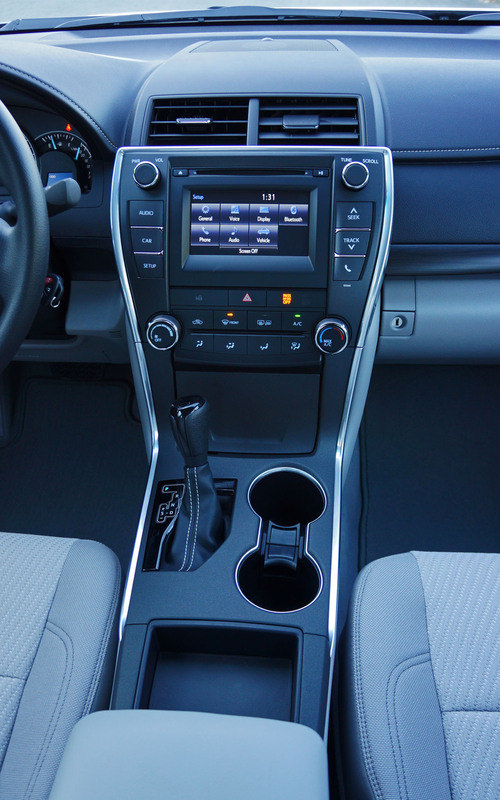 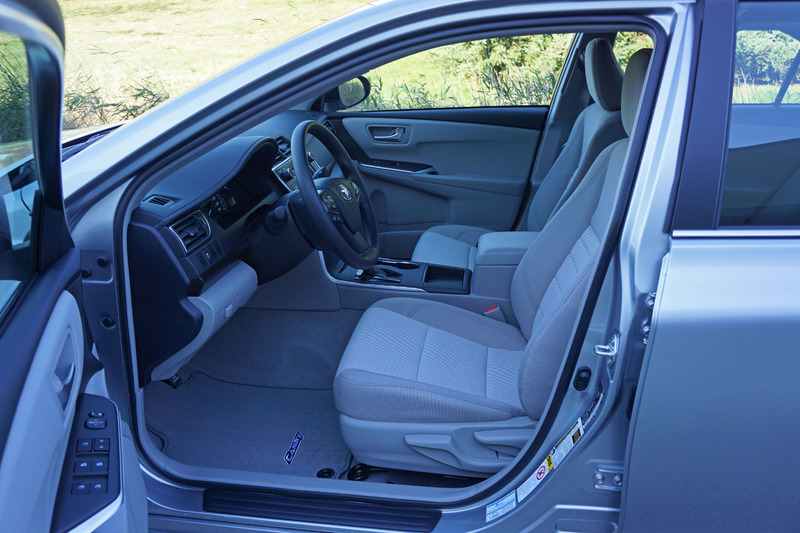 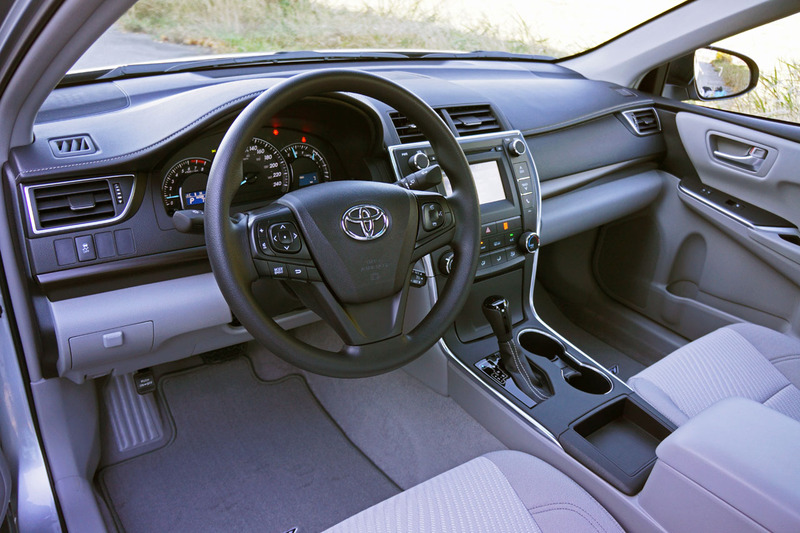 While I called the 2015 Camry new from the wheels up when this review opened, closer inspection reveals its dimensions are as similar as some of the near identical interior finishings I commented on before. 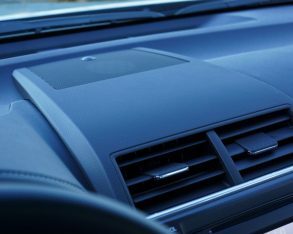 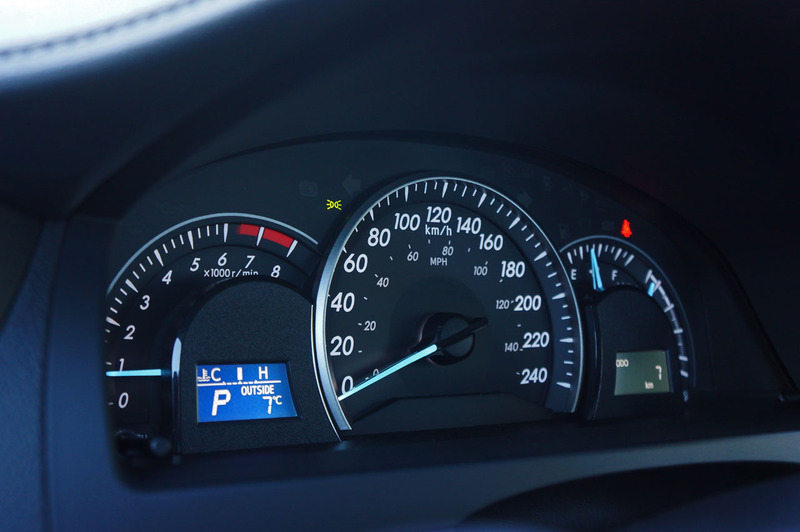 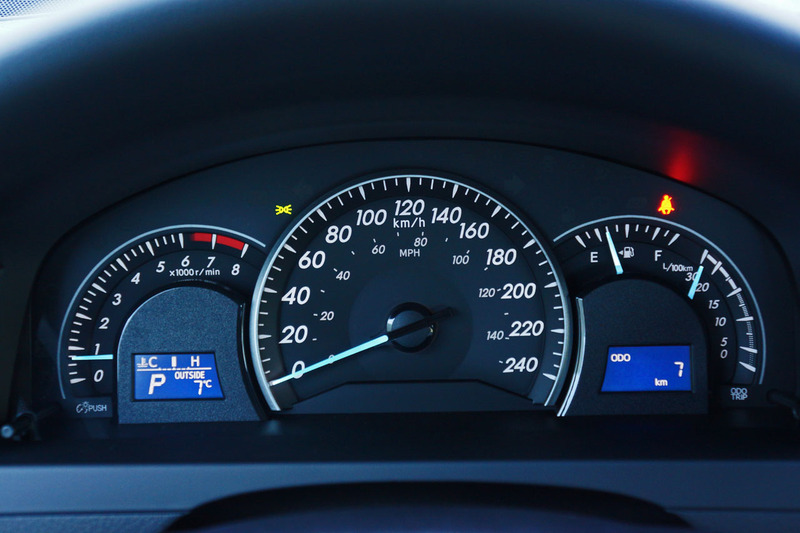 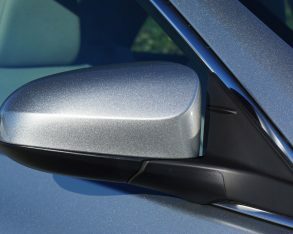 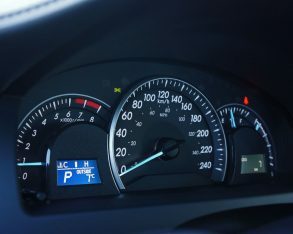 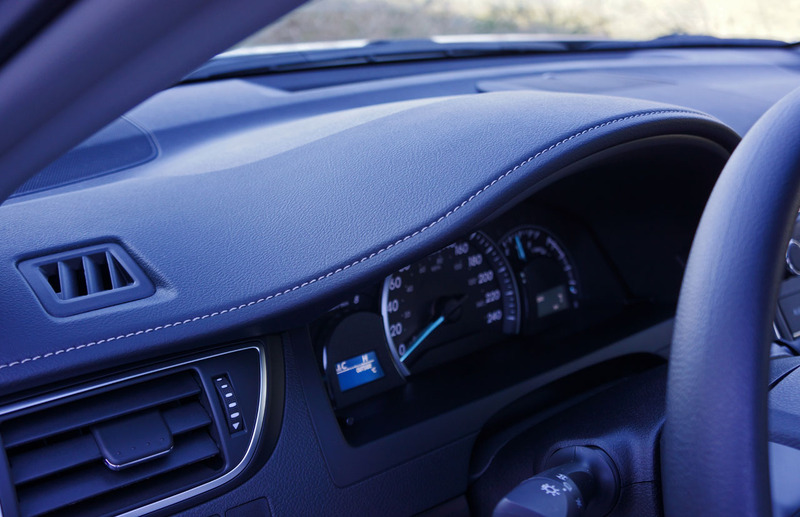 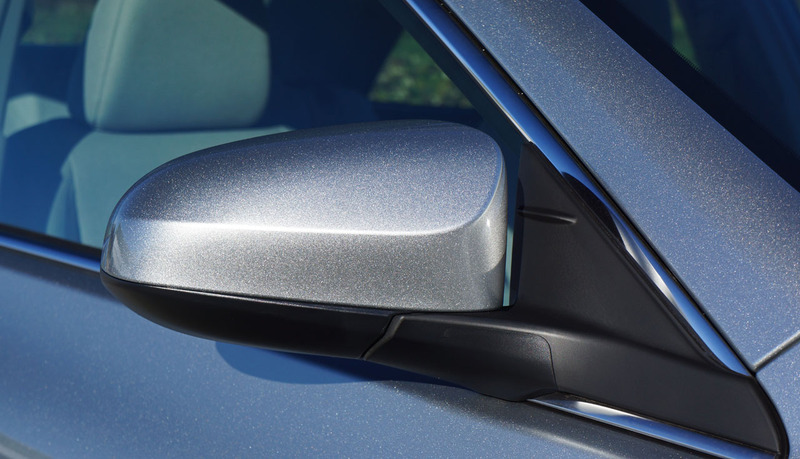 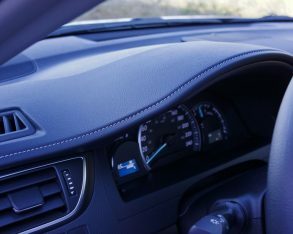 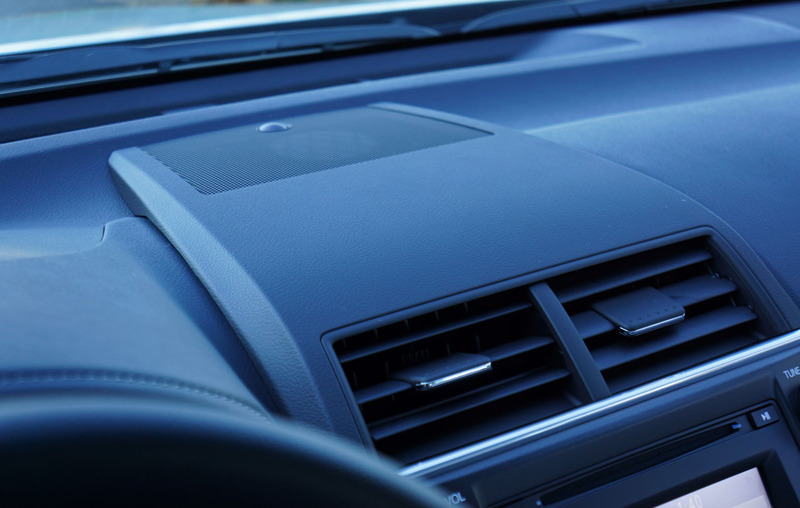 That dash top didn’t need to be retooled in order to slot it into place below the windscreen, for instance, as both cars are exactly 1,820 millimeters (71.7 inches) wide, while the new model’s height remains exactly the same as the old car’s 1,470-mm (57.9-inch) topmost measurement. 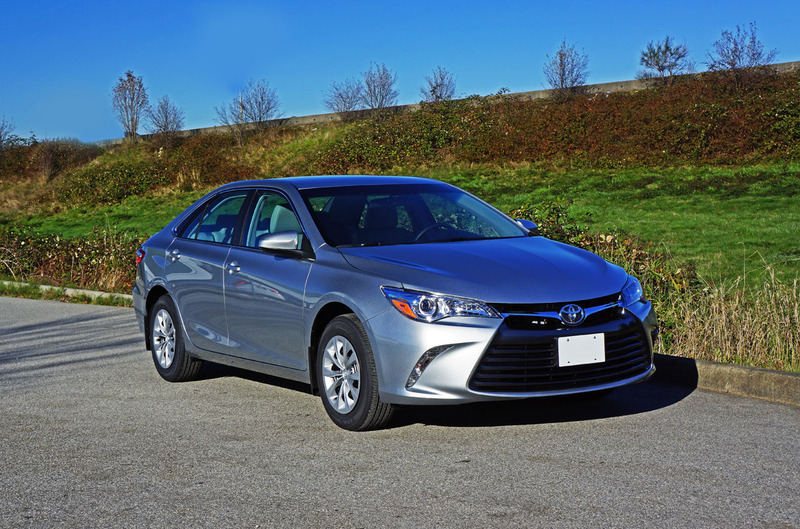 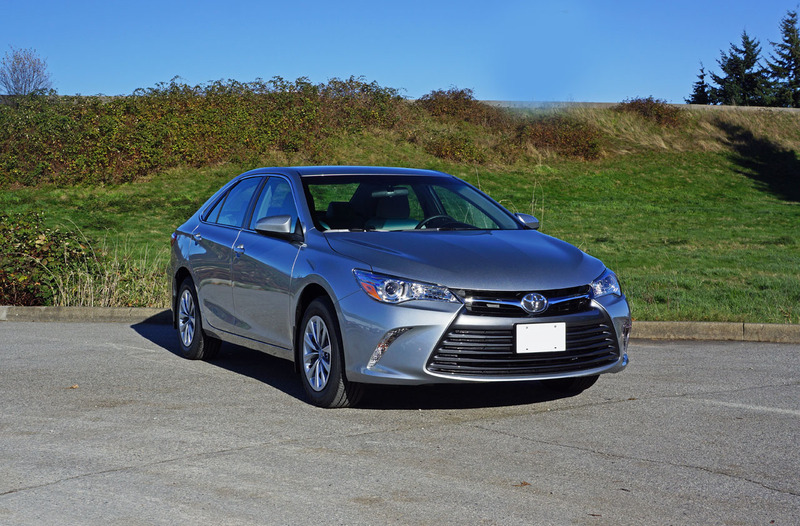 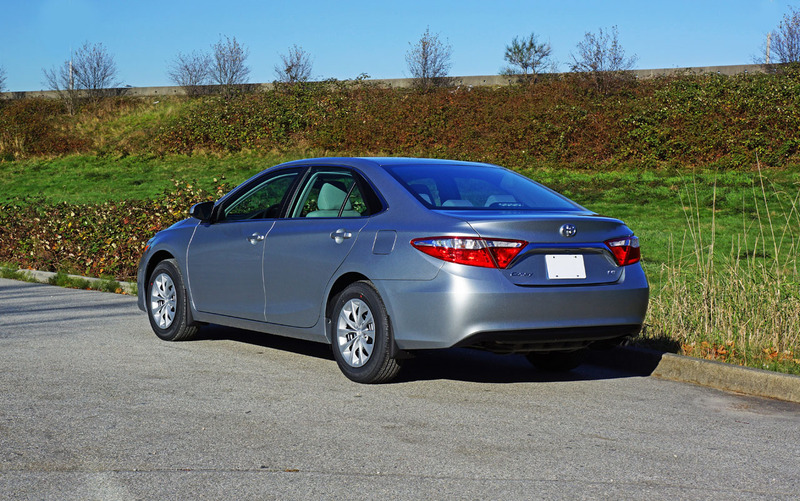 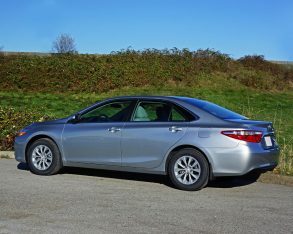 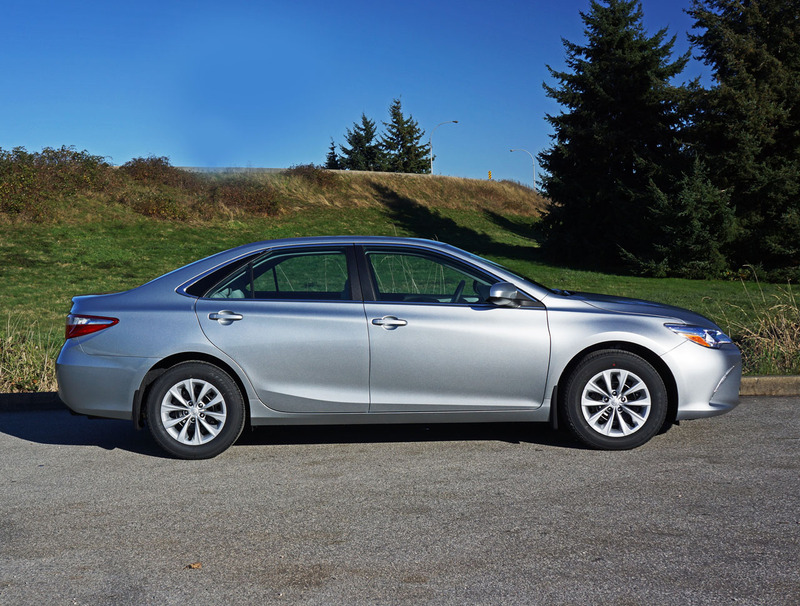 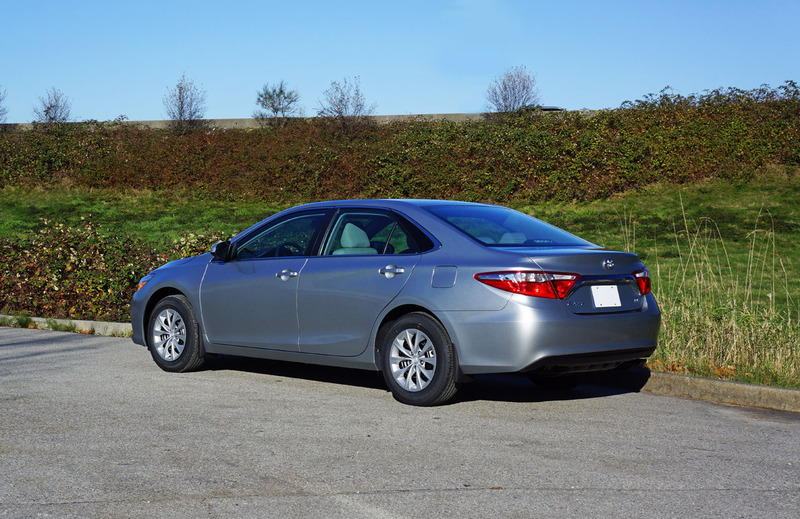 Likewise the 2015 Camry’s wheelbase spans the same 2,775 mm (109.3 inches), while that leaner, sportier look affects the car’s length, now 45 mm (1.7 inches) longer at 4,850 mm (190.9 inches). 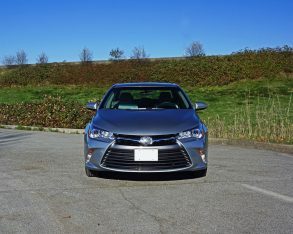 This means the new Camry is just as accommodating as the car it replaces, a good thing as it certainly didn’t need to grow. 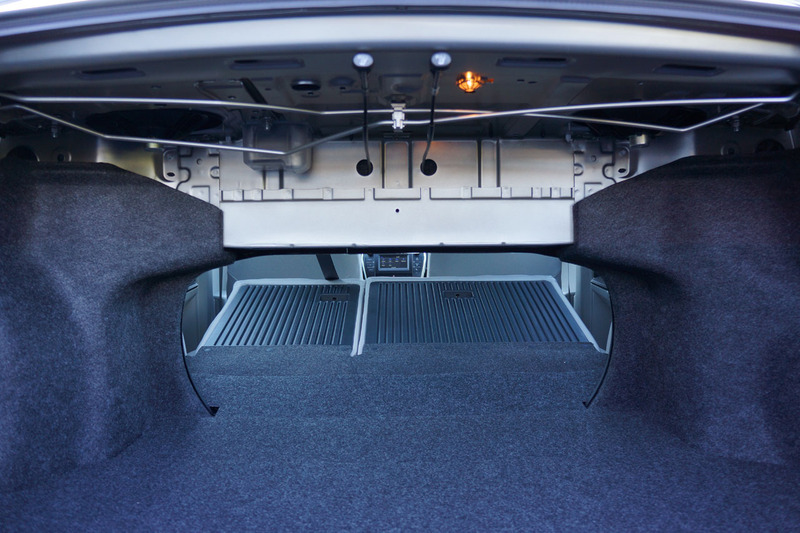 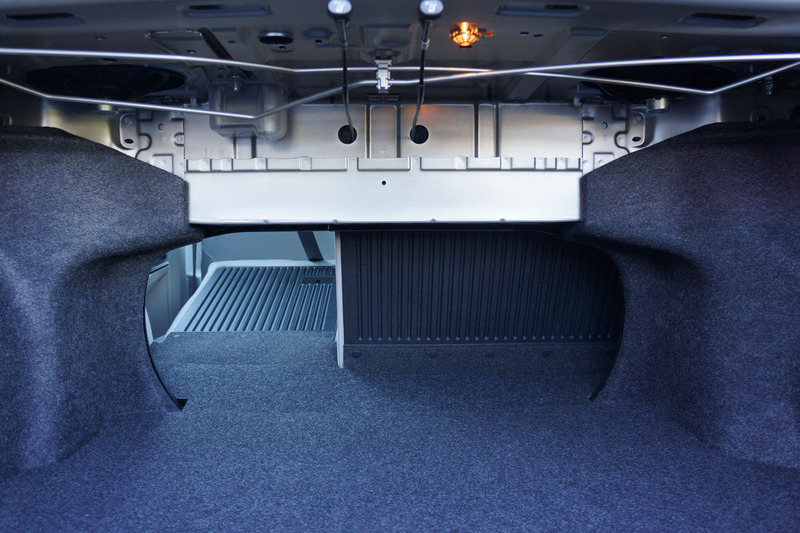 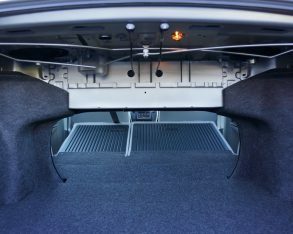 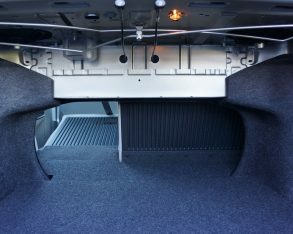 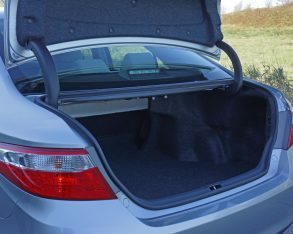 One of the reasons it sells so well is that it fits all sizes big and small, while rear seat roominess continues to be superb with extremely comfortable seats replete with wonderful lower back support, and trunk space remains a very sizable 436 litres (15.4 cubic feet). 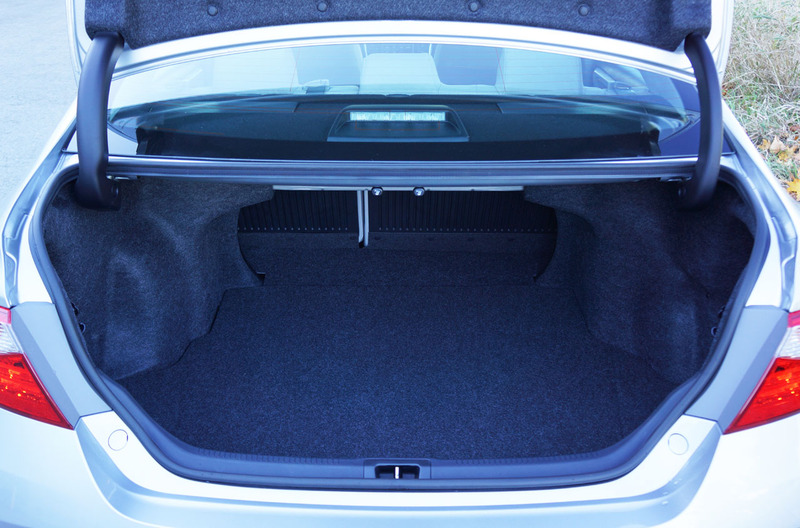 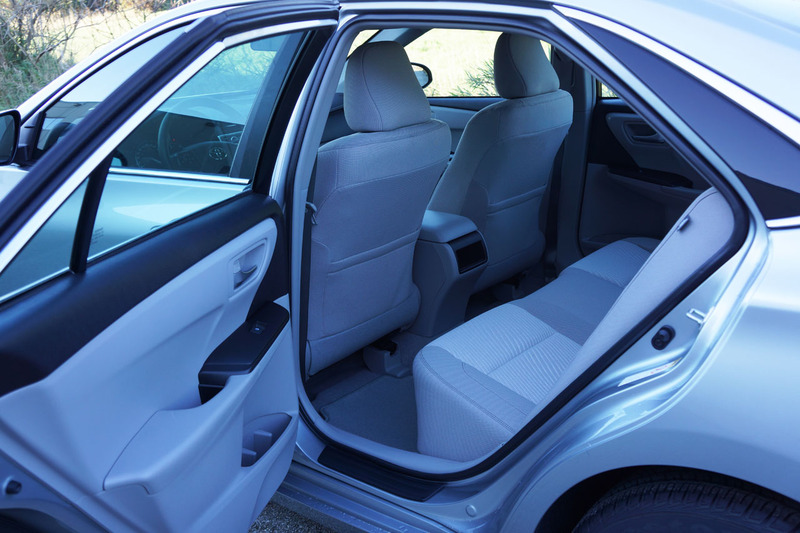 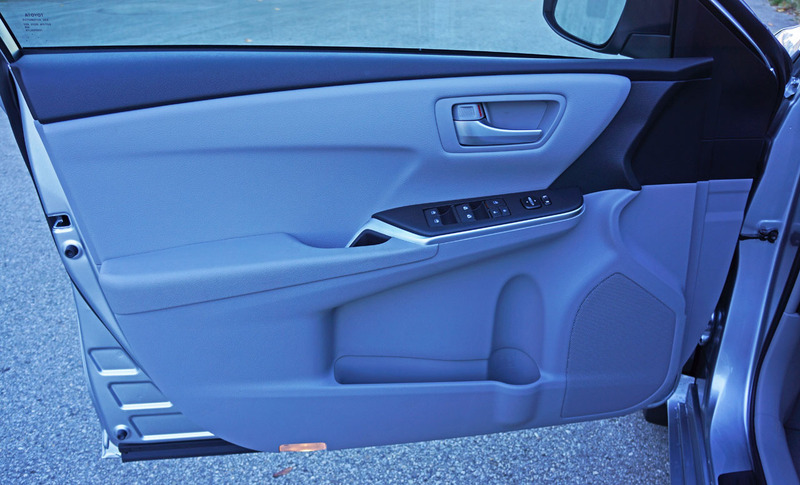 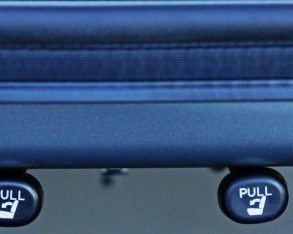 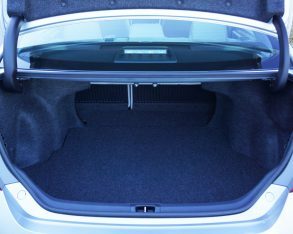 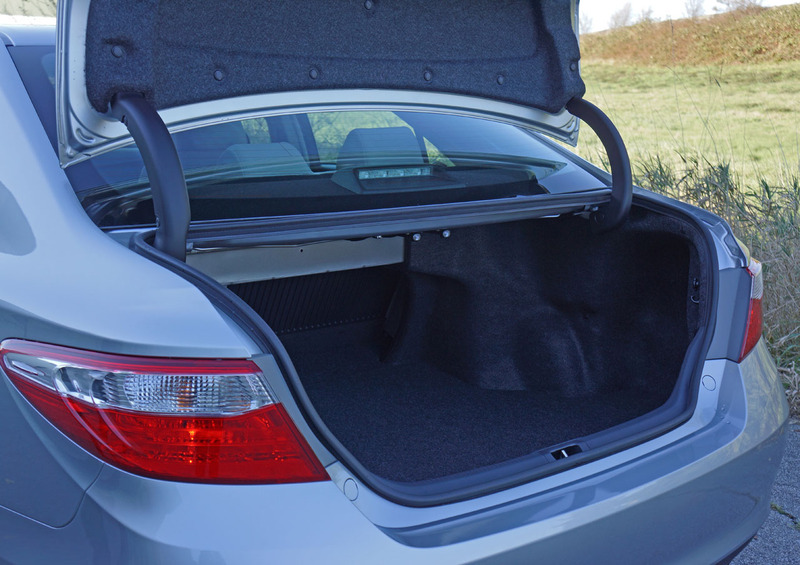 Once again 60/40 split-folding rear seatbacks add flexibility to the Camry’s passenger/cargo livability, opening the trunk up for longer items such as ski gear. 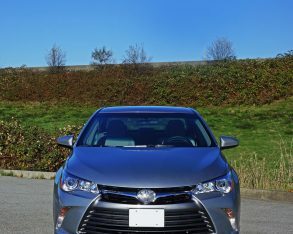 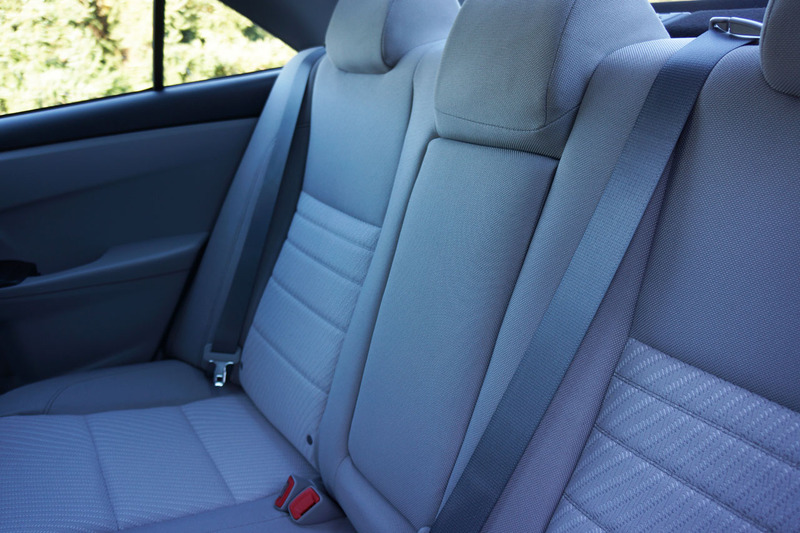 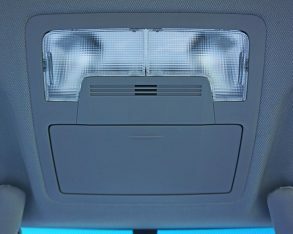 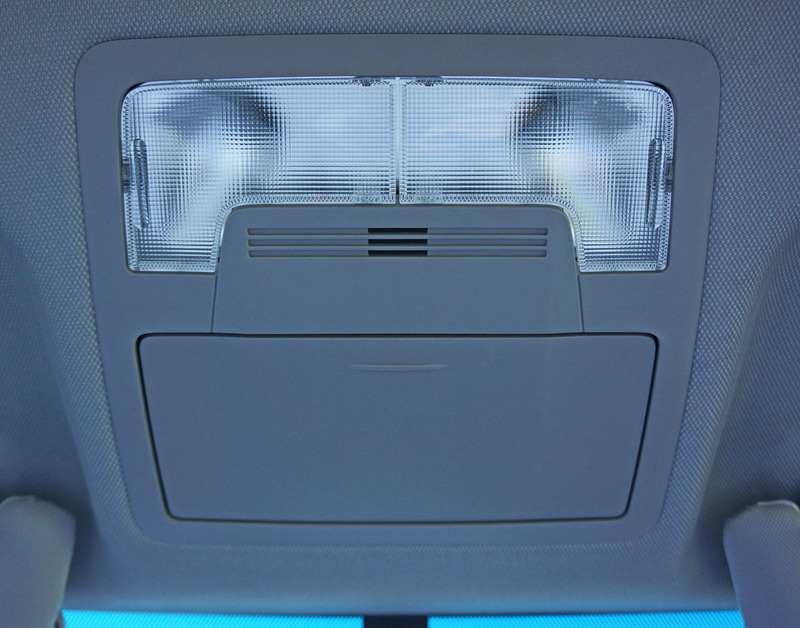 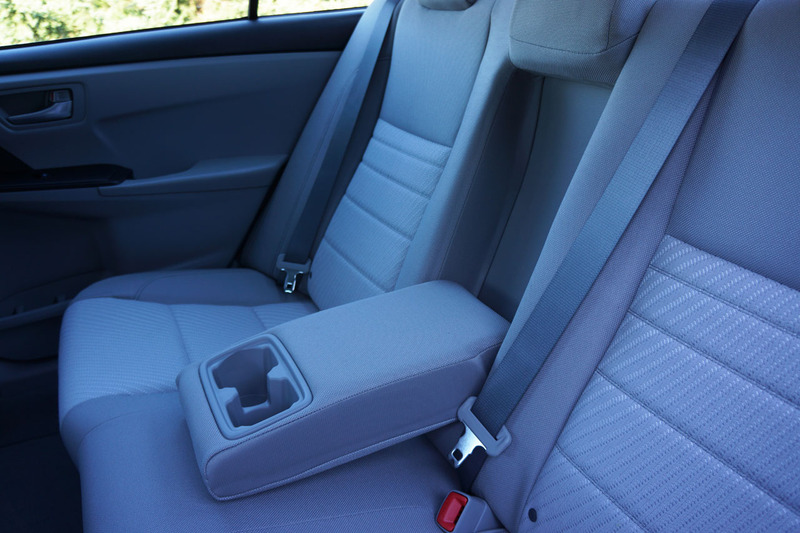 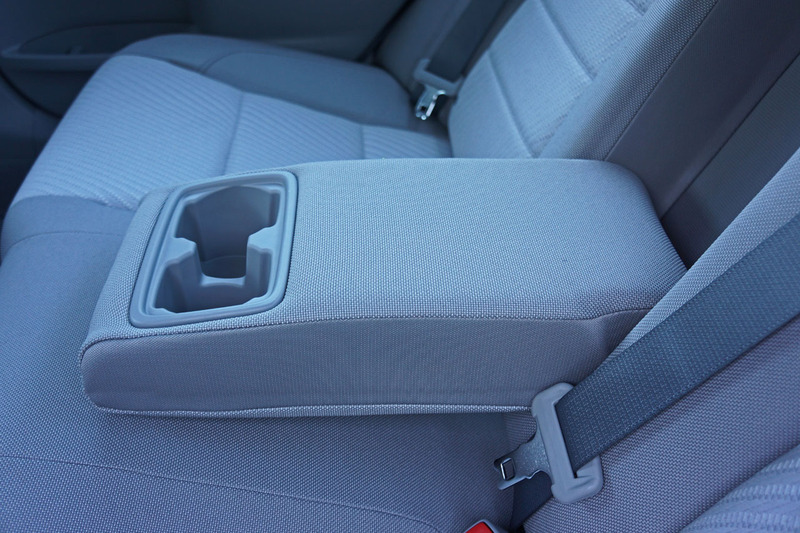 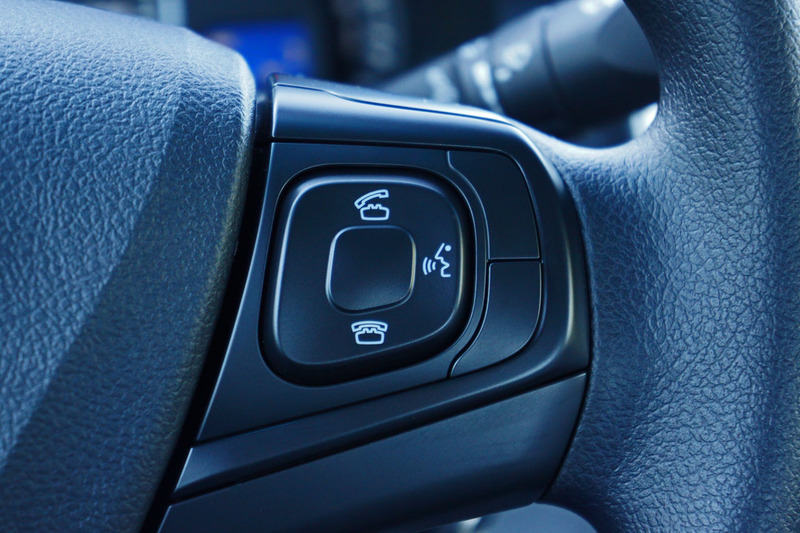 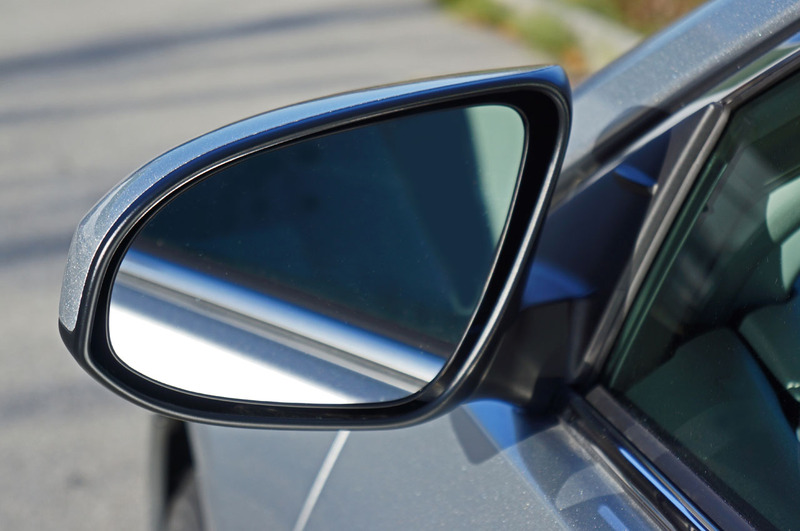 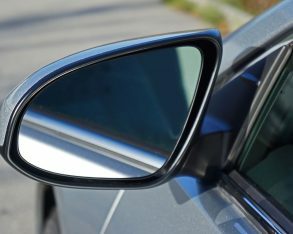 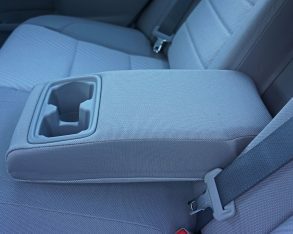 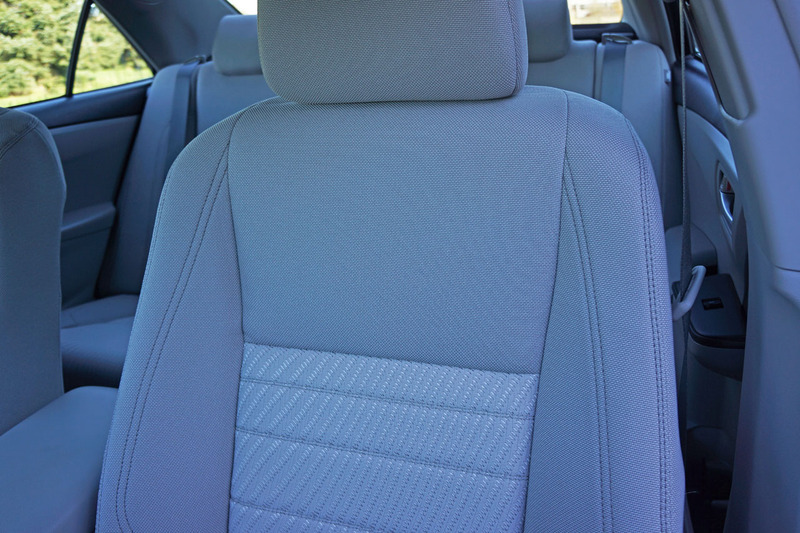 Camry’s standard suite of safety equipment that incorporates Toyota’s Star Safety System featured on all models sold in Canada. 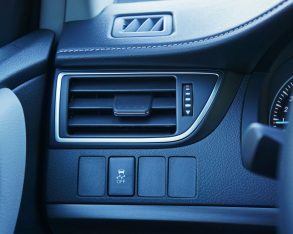 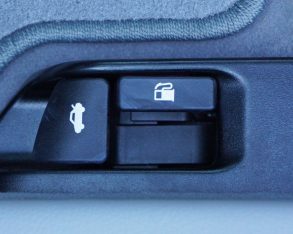 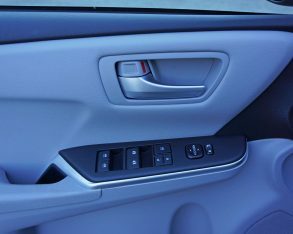 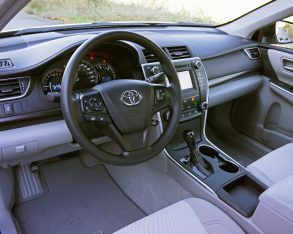 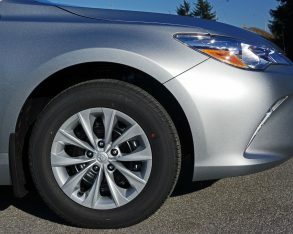 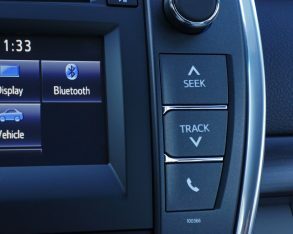 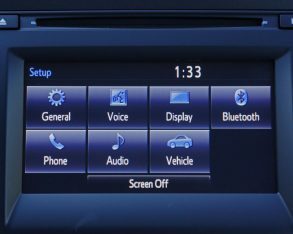 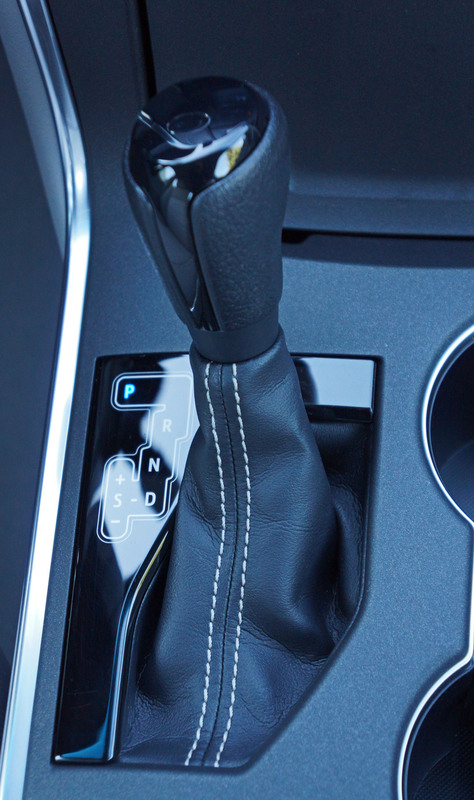 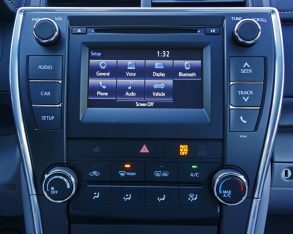 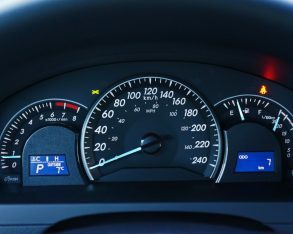 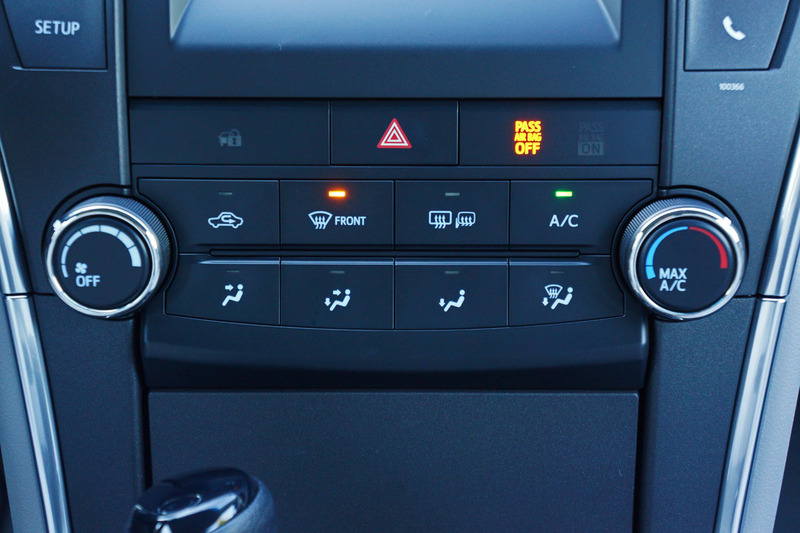 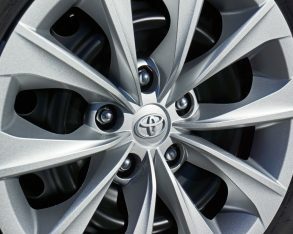 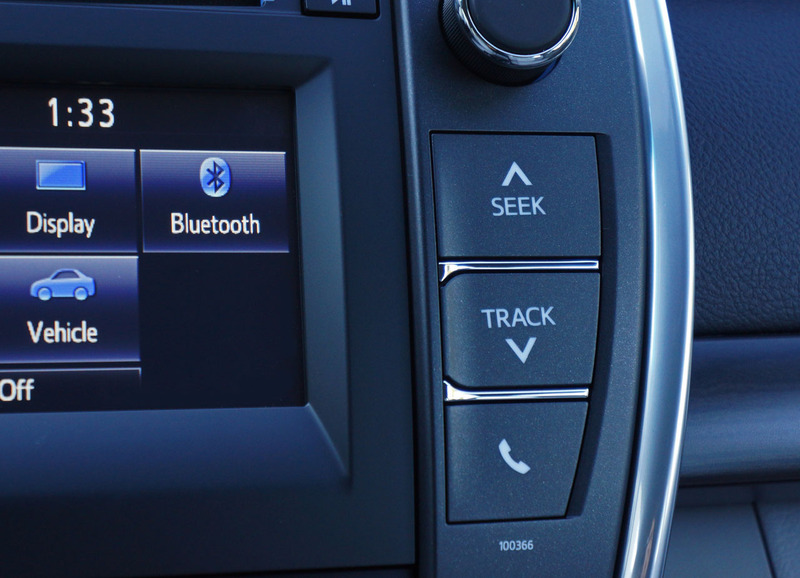 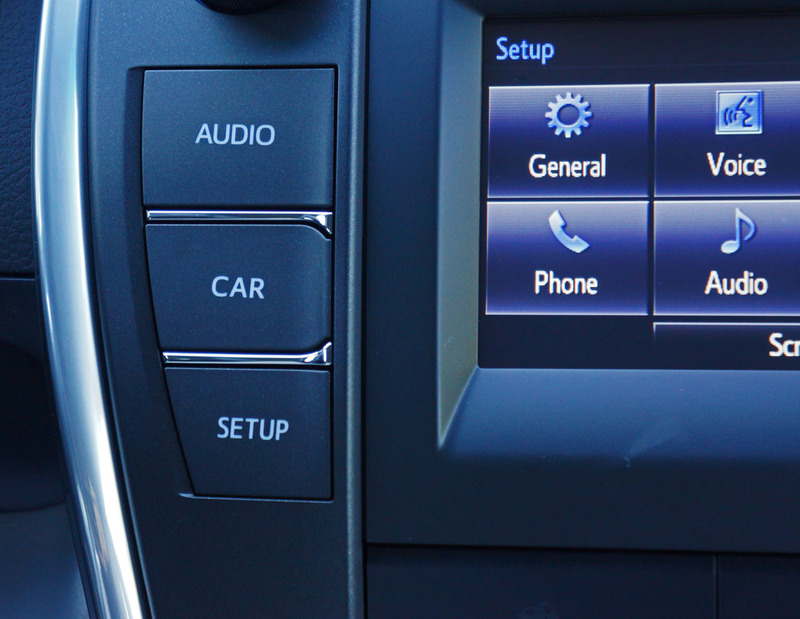 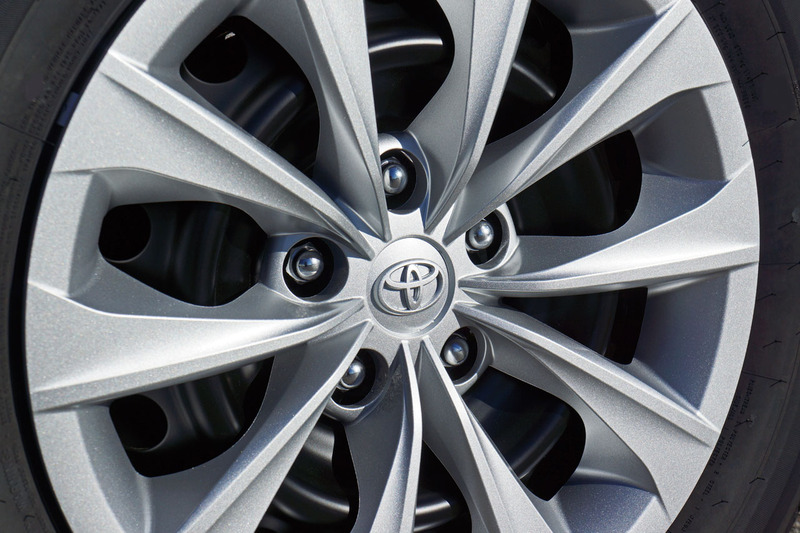 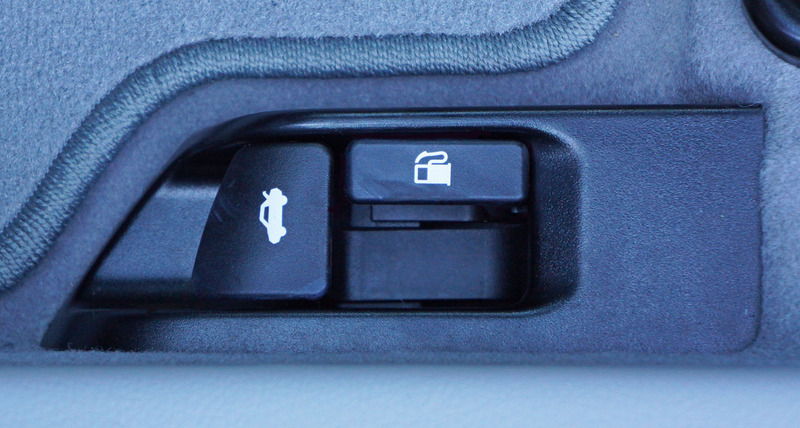 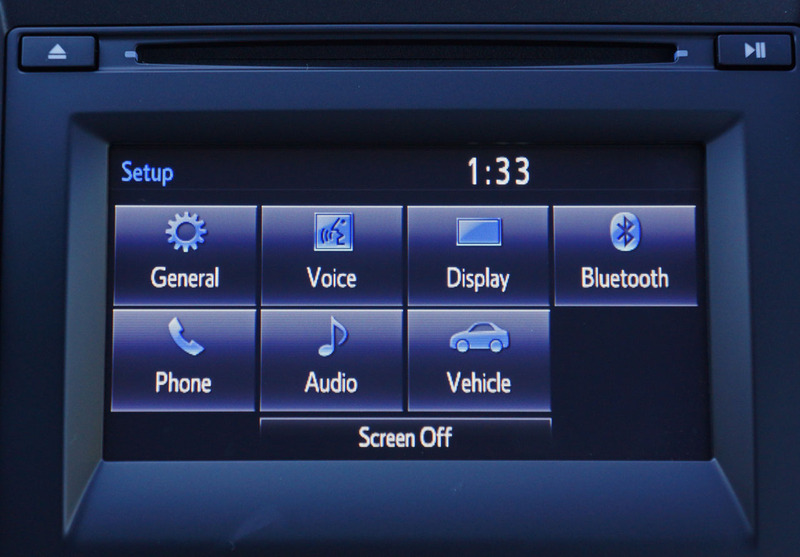 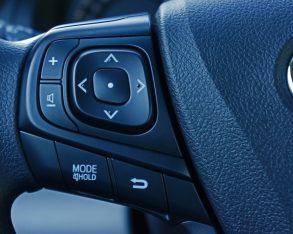 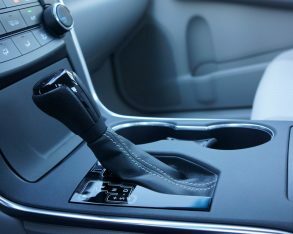 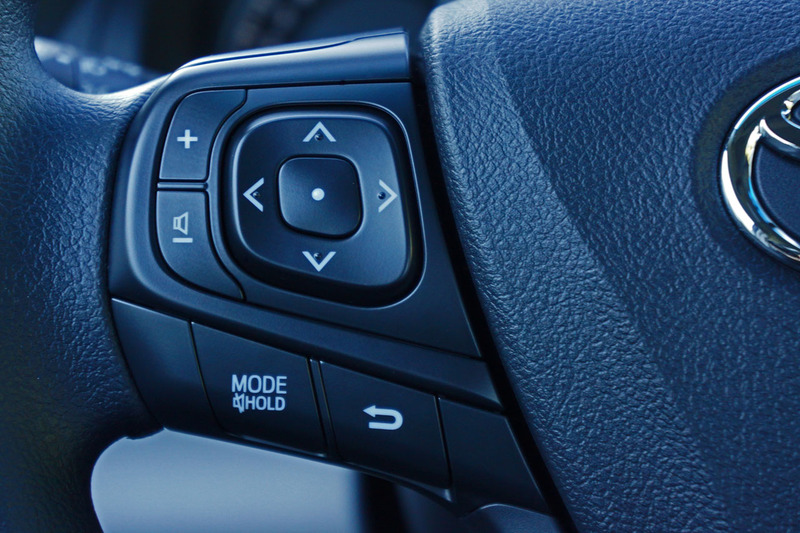 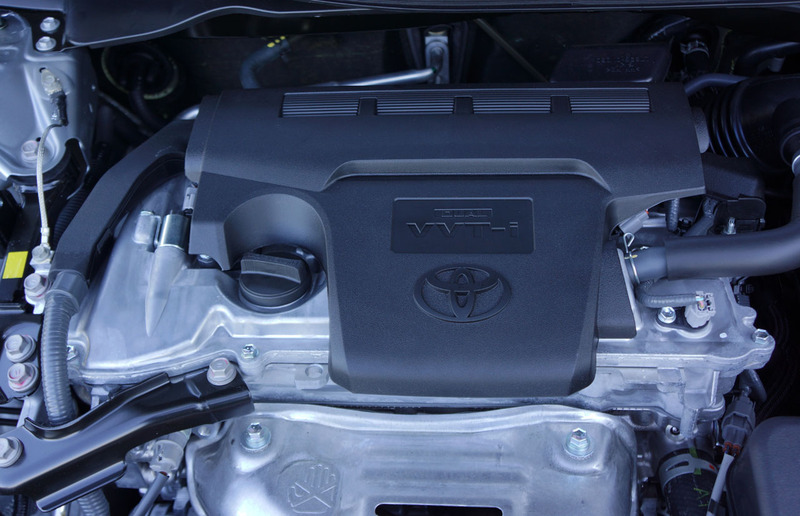 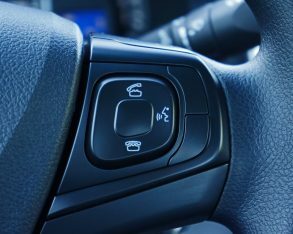 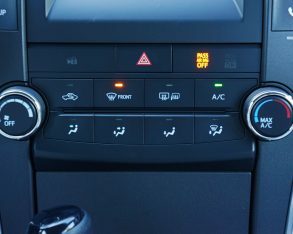 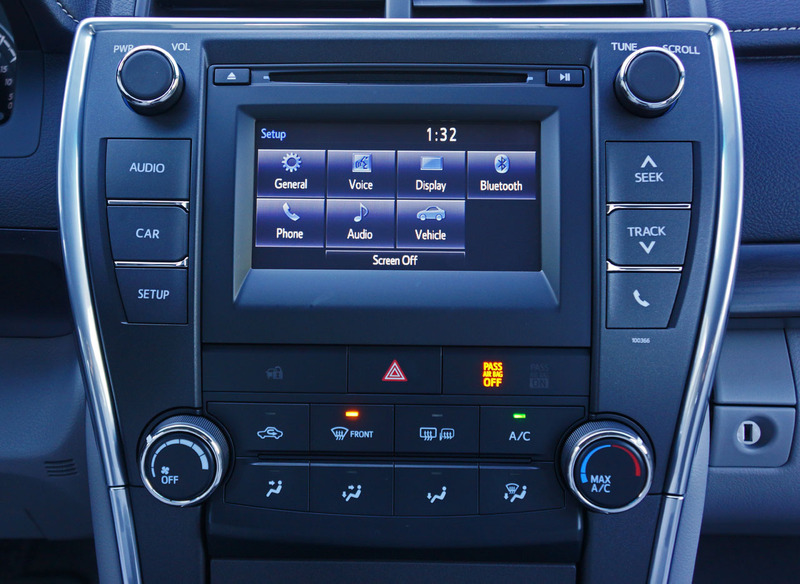 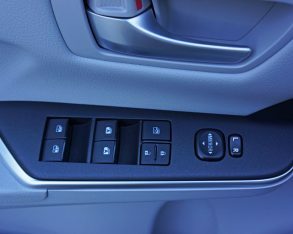 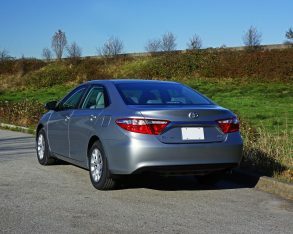 The Camry’s list includes Vehicle Stability Control (VSC), Traction Control (TRAC), and ABS-enhanced four-wheel disc brakes with Electronic Brake-force Distribution (EBD), Brake Assist (BA) and Toyota’s Smart Stop Technology (SST), a system that cuts power to the engine when the brakes are fully pressed. 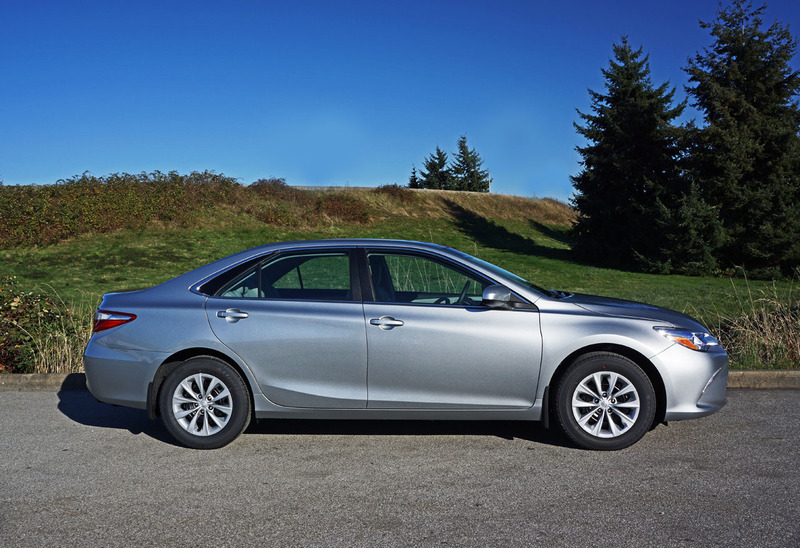 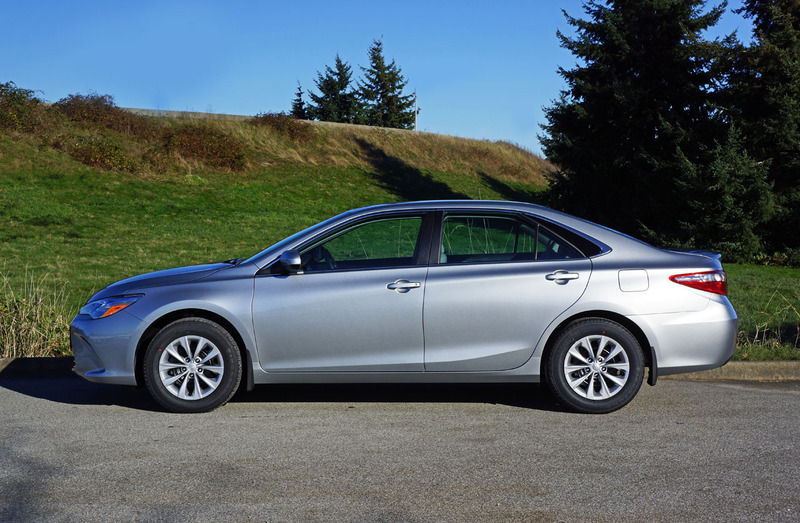 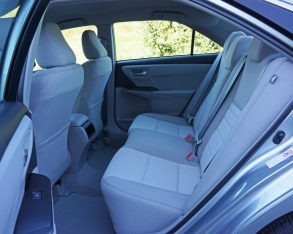 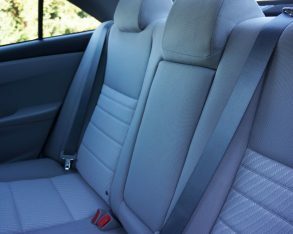 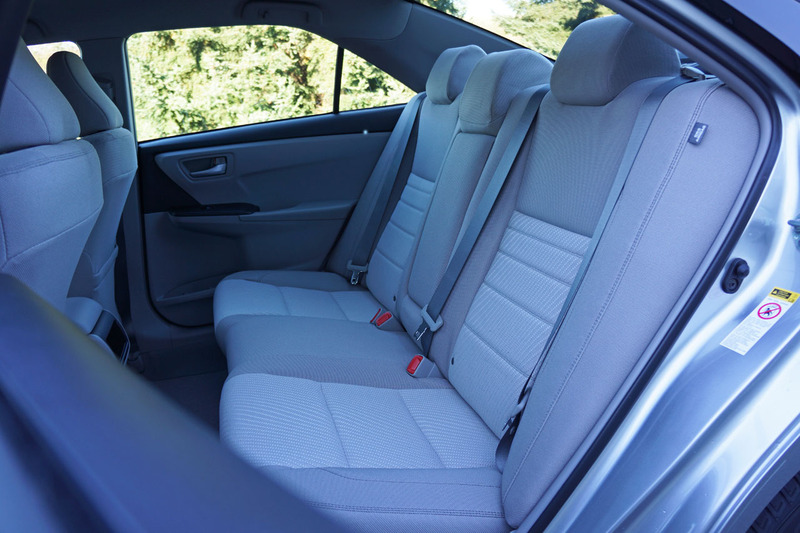 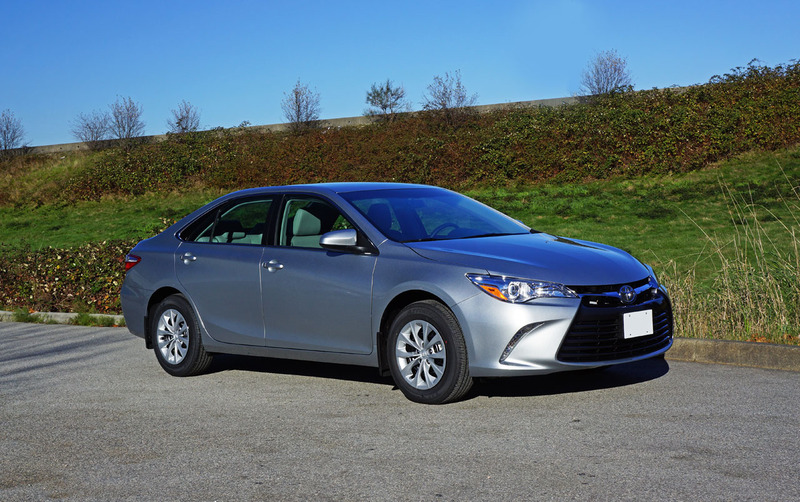 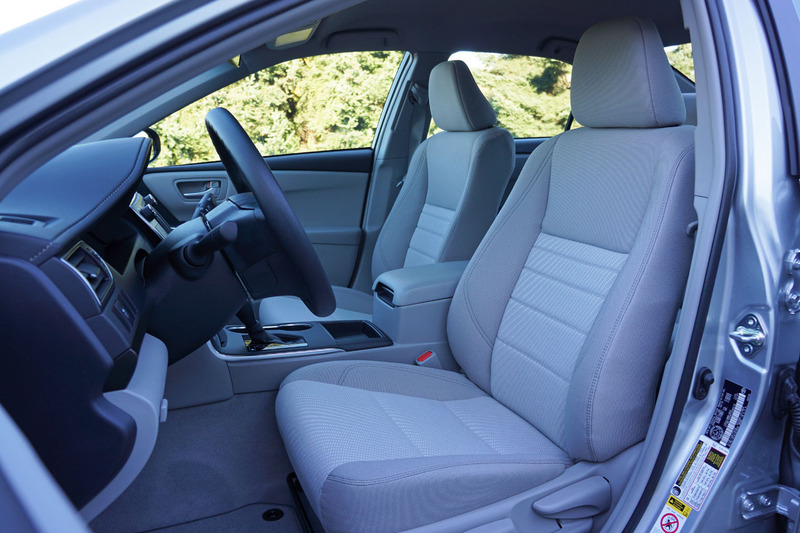 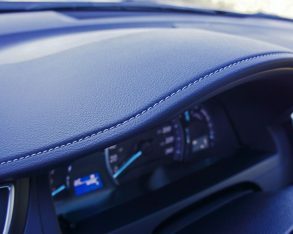 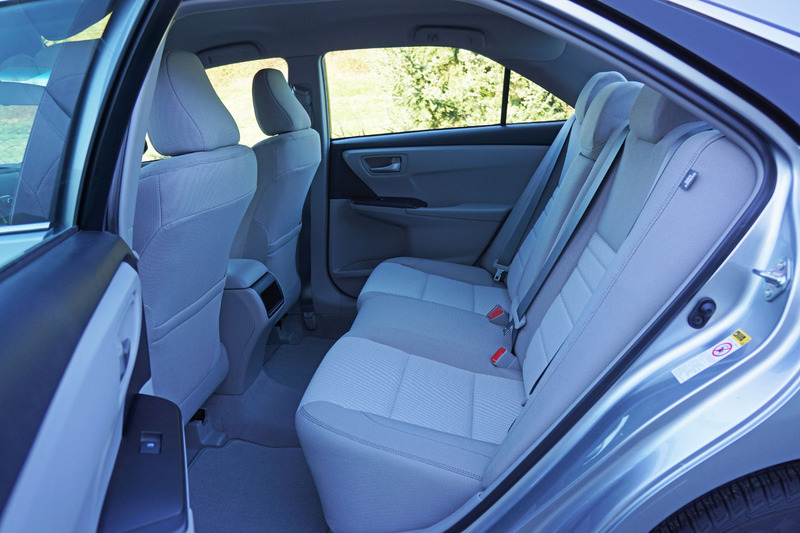 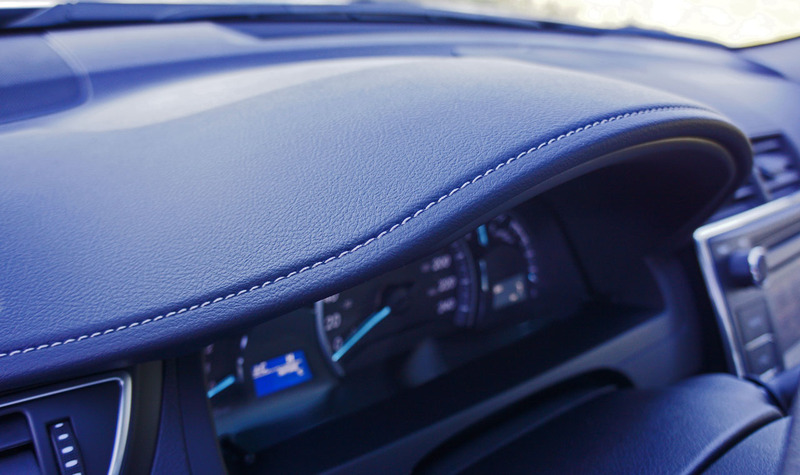 The usual assortment of airbags is joined by dual-stage driver and front passenger knee airbags as well as rear seat side-thorax airbags for a total of 10, making the Camry one of the safer car’s in the midsize sedan segment. 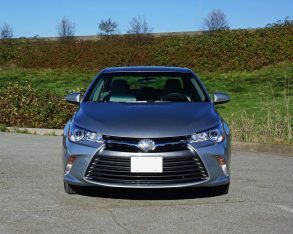 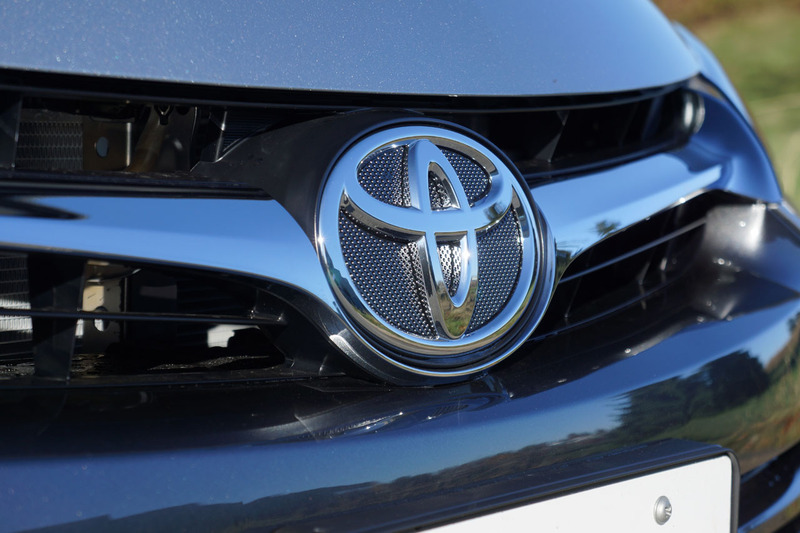 Last year’s Camry earned a Top Safety Pick from the U.S. Insurance Institute for Highway Safety (IIHS), so it’s likely the new one will also achieve this status. 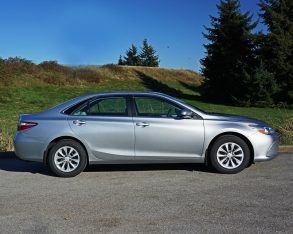 paper it appears that the 2015 Camry isn’t as easy on fuel as the outgoing car despite identical drivetrains and very similar curb weights, the new model only 26 kilos (63 lbs) heavier at 1,467 kilograms (3,240 lbs), but before getting the wrong idea we need to take into consideration that Transport Canada has a completely new rating system that incorporates five cycles of testing instead of just two, so all vehicles, even completely unchanged, will appear like they now use more fuel. 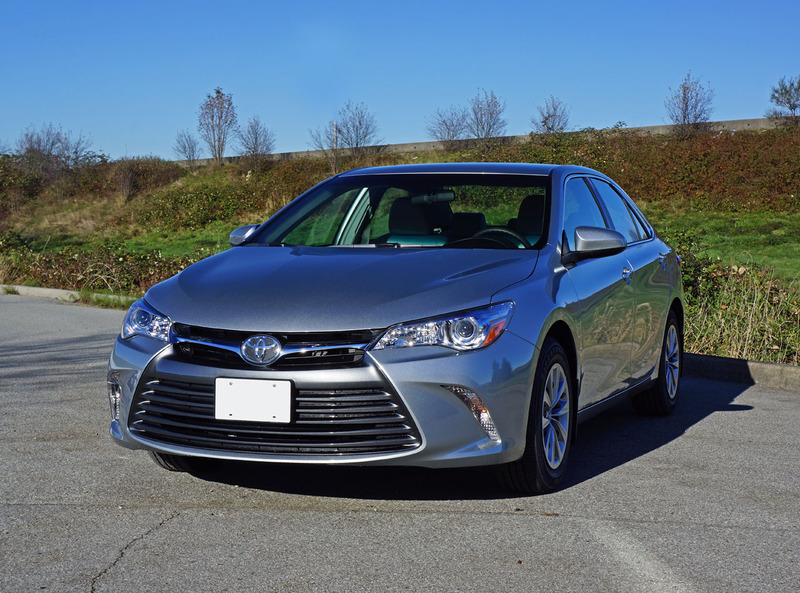 Therefore, only compare the 2015 Camry’s 9.7 L/100km city, 6.9 highway and 8.4 combined rating to another 2015 model. 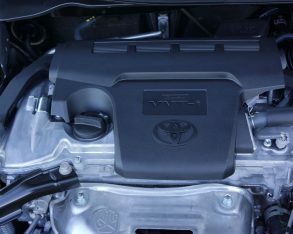 Incidentally, the optional 268 horsepower 3.5-litre V6, capable of a 7.4-second sprint to 100 km/h, is rated at 11.0 L/100km in the city, 7.7 on the highway and 9.5 combined. 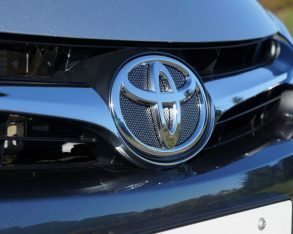 that many who previously eschewed Toyota’s midsize sedan because it was too conservative will now be more intrigued by its sexier styling, better driving dynamics and all-round greater appeal. 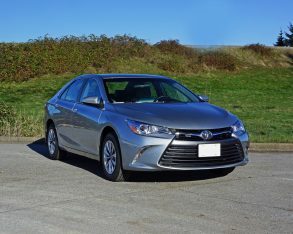 No doubt the new XSE will pull such potential Camry buyers into the their local dealerships, but these newbies may very well drive out in an LE model like my tester because it delivers such strong value in this ever more competitive segment. 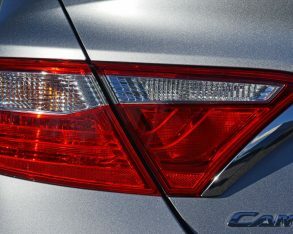 So don’t think for a second that Toyota will lose its best-selling midsize sedan status anytime soon. 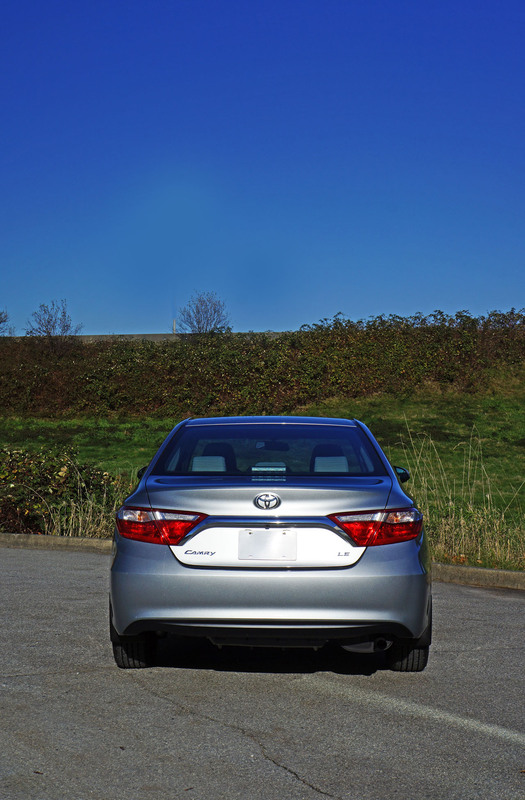 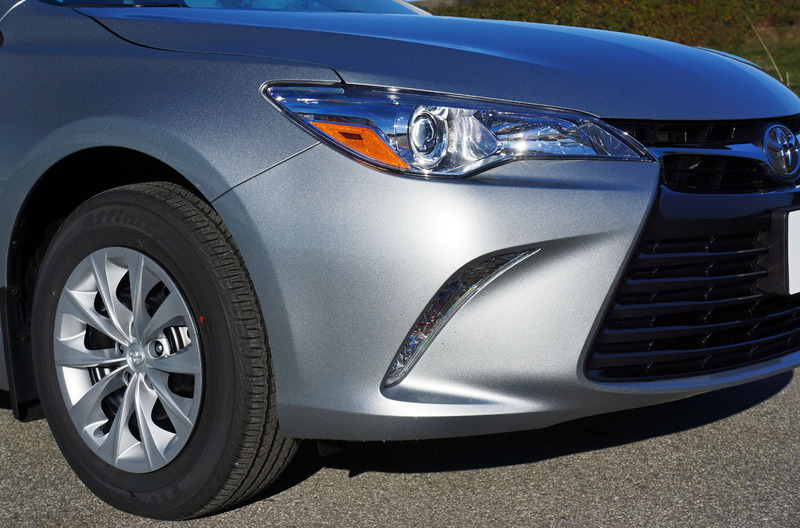 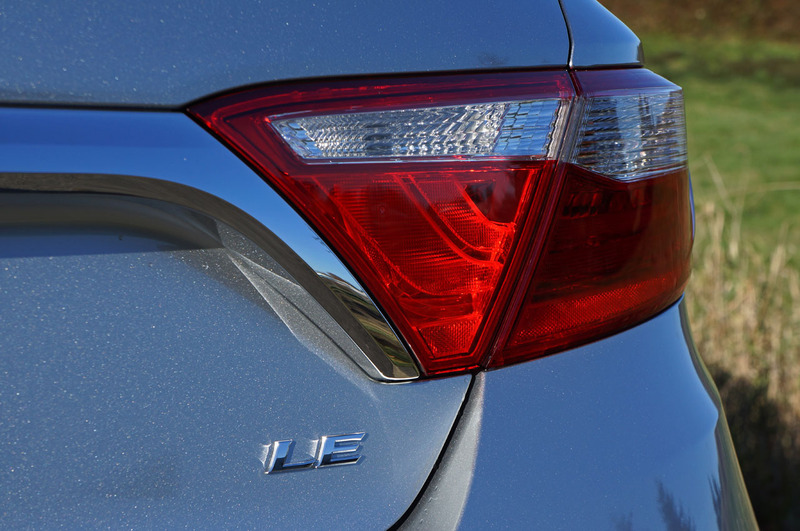 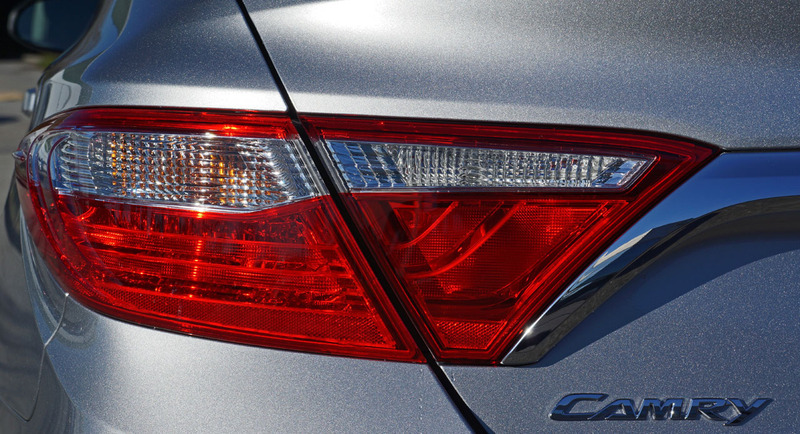 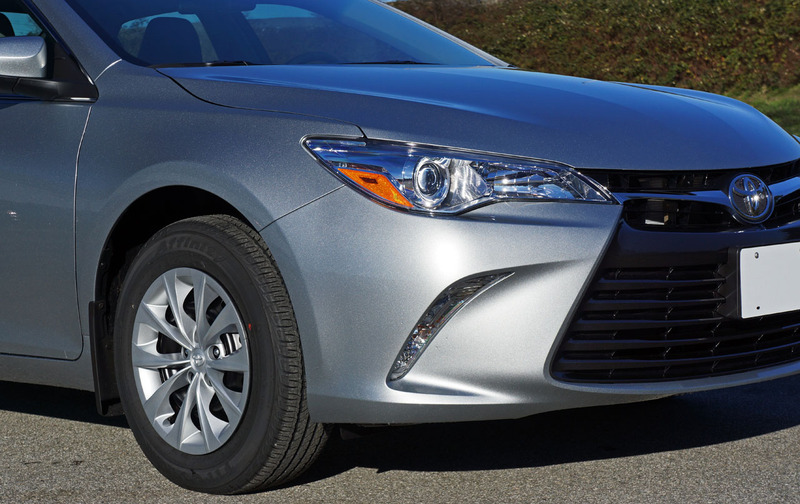 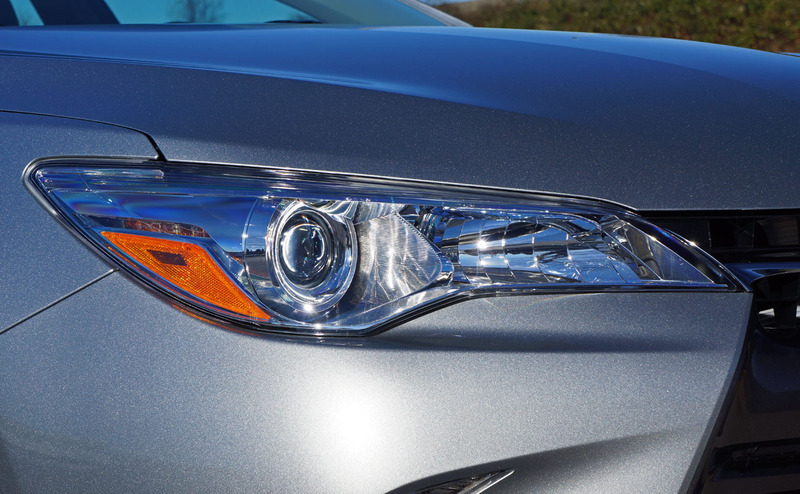 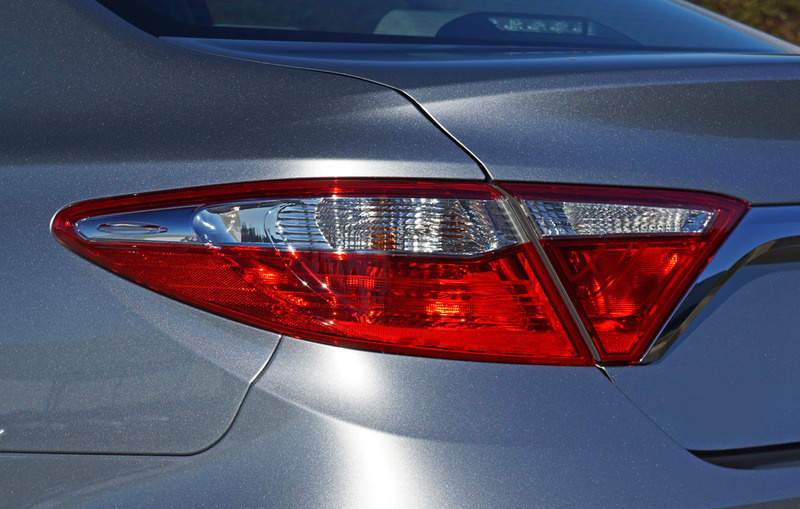 The 2015 Camry is a clear winner.